If you missed last week’s craveRADIO you missed plenty of great action. We started the first hour with Wade Hampton. yes, that Wade Hampton. 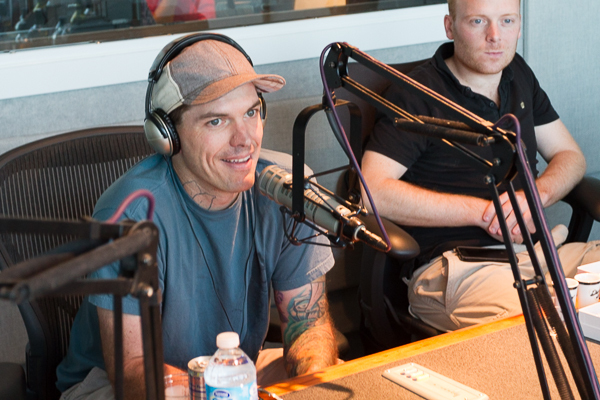 He was our own personal rock star in studio. Wade is a mega DJ, and was part of the Starck Club scene back in the 80′s. He also was behind the W Hotel’s Ghostbar. Wade is now one of the owners of SISU in Uptown Dallas and runs the entertainment program at the hopping club. He is also behind the Starck Project which should be released soon. It is a look back at one of the most important clubs of its era, and rivaled that of any in the world. 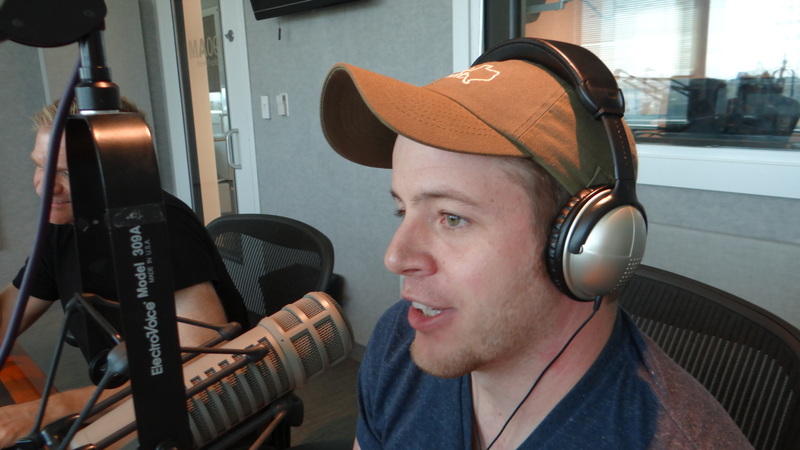 Also on the program we enjoyed chatting with chef Jason Harper from Trio Café in Colleyville. Harper is knocking it out of the park in the suburb with simple but kicked up soup and sandwich style lunches, and in the evening with his special flare of New American cuisine. Harper is from a restaurant family and has an austere history working with great chefs, most recently with Kent Rathbun. Later we enjoyed talking beer and burgers with Fort Worth burger king Keith Grober of Rodeo Goat. We have written several articles on Rodeo Goat and they were recently named best burger in Fort Worth. If you missed hearing our show live, you can also tune in to IHeartRadio.com from any spot on the globe where the internet can be found. Otherwise hear us on 1190am from 4 to 6pm each Sunday. 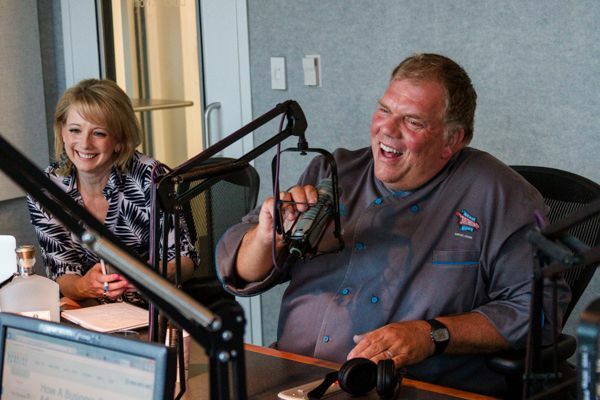 This next Sunday we do a remote broadcast from Kent Rathbun’s BBQ Workshop. I guarantee you will love that meaty program. 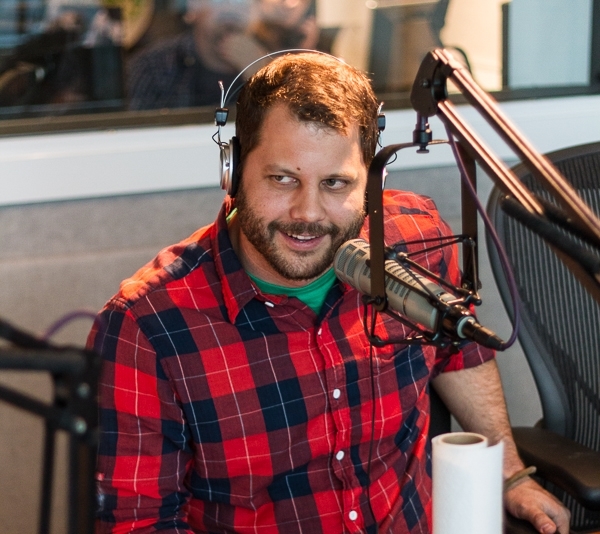 We have plenty of surprises in te coming weeks, so please tune in to craveRADIO on CNN 1190am, or load up the smartphone app via IHeartRadio.com. As a value added service to our readers we have each past program listed under craveDFW’s radio tab. To hear this week’s show hit the button below. 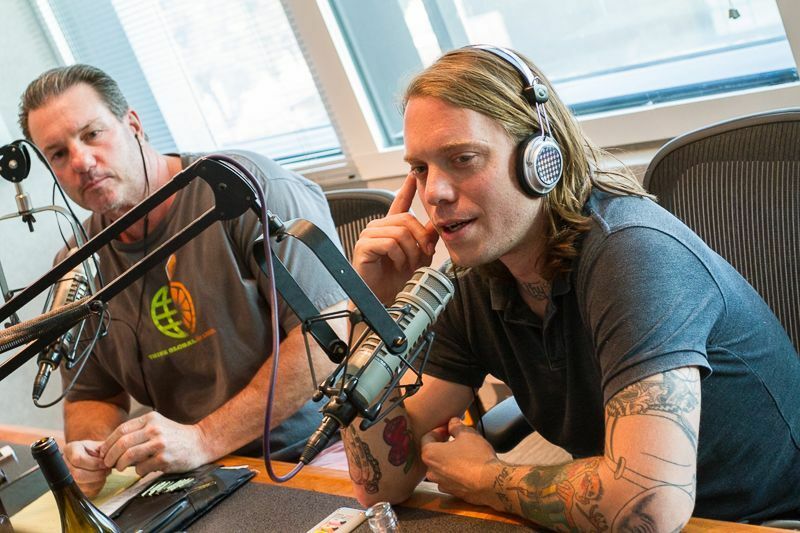 If you missed the craveRADIO broadcast this past Sunday you missed a lot. 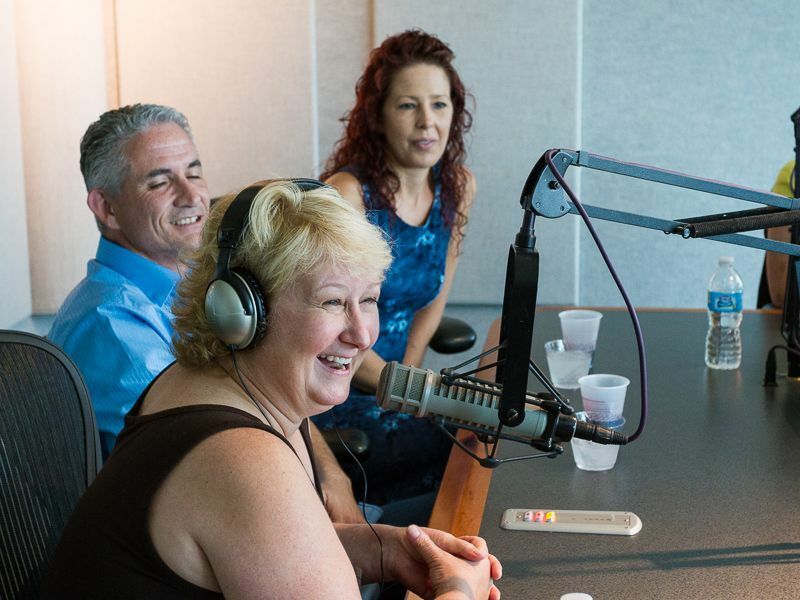 In studio this week we enjoyed all the interesting stories Gene and Julie Gates shared about opening their restaurant Battuto Italian Kitchen in North Dallas. 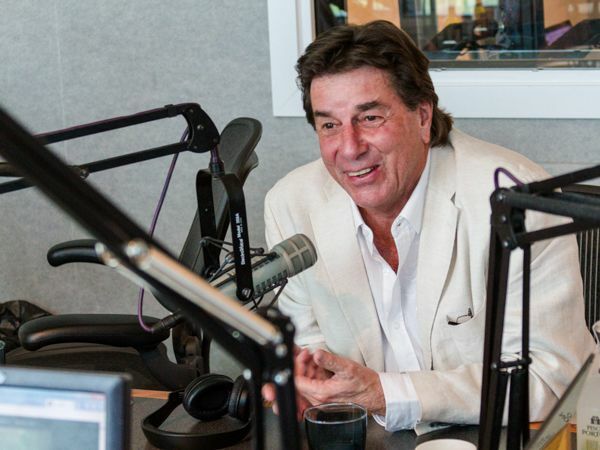 Gene also shared his history of working, managing and owning restaurants in his past, before Battuto and before their radio history. The pair of restaurant owners also discussed their opening chef Gustavo, and all the work that went into the opening menu. They have since hired super chef Joel Harloff who has a beautiful history working with Italian and other cuisines. Harloff is working on a new lunch menu and sends out daily specials that we hear are terrific. Also on the program we enjoyed seeing the State Fair of Texas fried food king, Isaac Rousso who owns the Taste of Cuba food concession at the Fair. Rousso is also running the new Draught House that replaces SportHalle that encompasses the Conference Center. He will also be selling many of his past food items including his famous Cuban sandwich and the meaty Pork Wings he introduced last year at the Fair. 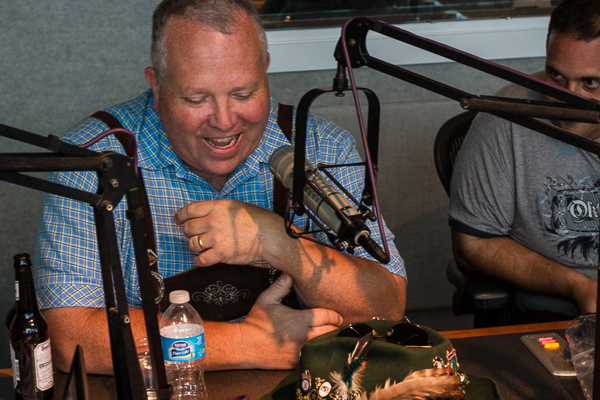 Also on the program we had John Slaughter from Paulaner, the original Oktoberfest brew that is now the official beer at the Addison festival. 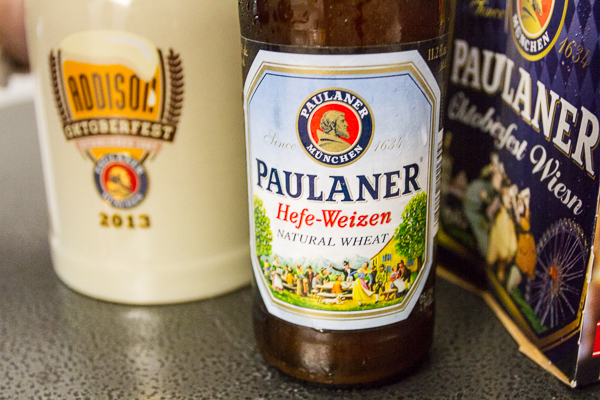 Paul speaks about the history of the beer, and great details about this year’s Oktoberfest in Addison. 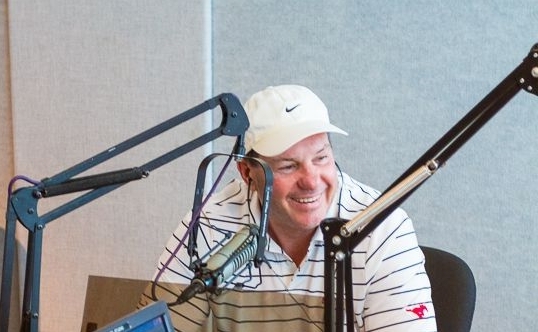 You can hear about all of this and our week in DFW restaurants on the re-broadcast below. Next week we have Dean Fearing, Charlie Pap from the Windmill in Dallas, and the good people at Wine Poste. Be sure to listen in live on 1190am, or on IHeartRadio.com. 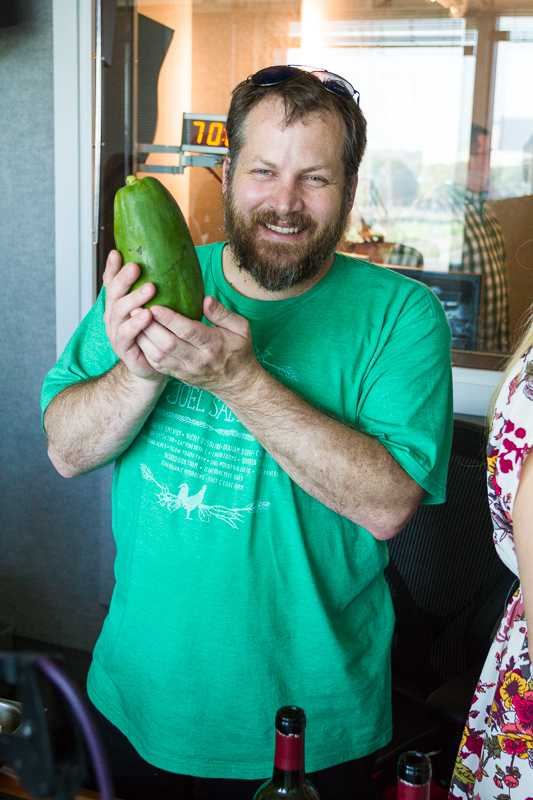 Callers can win some fun prizes. 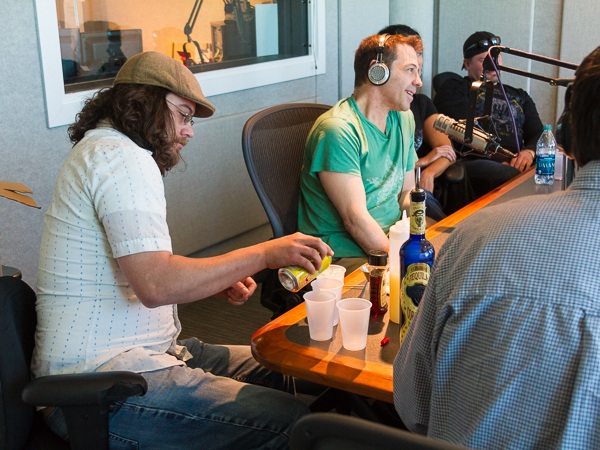 This week on craveRADIO we hosted some pretty special guests. 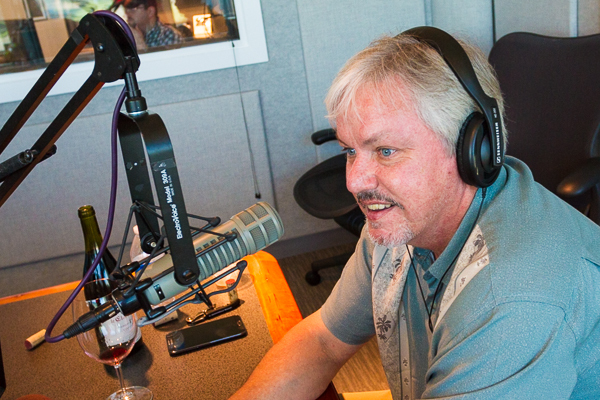 First we had on Jon Bonnell who owns a trio of restaurants in Fort Worth. He has Bonnell’s Fine Texas Cuisine which has been open for 12 years now, serving up plenty of Texas game. Bonnell was sourcing local products way before it was the hip thing to do, and has a vast network of farmers and ranchers he relies on each day. In addition to his eponymous restaurant, Bonnell also runs his latest entry in Fort Worth, Waters. Waters is all about fresh seafood and has been a runaway success. At Waters you will find a rotating list of a dozen varieties of oysters, freshly flown in coastal seafood and a few interesting non-seafood items like a rabbit loin and a pork porterhouse. The chef also owns Buffalo Bros. Pizza, Wings & Subs near TCU in Fort Worth where he serves up, well, pizza, wings and subs to the hungry college crowd. Bonnell will be competing in a triathlon in just a few weeks and is in his peak condition, having lost plenty of weight, slimming down to his current svelte self. It is obvious that Bonnell is enjoying life, and you hear it well in this fun interview. Also on the show our friend from Tullamore Dew dropped by with a friend. The brand ambassador Mossie Power brought a friend with him once again, and we enjoyed cocktails conjured by Liz Scobee who reps Stolichnaya Vodka. Liz is hosting several events in the coming weeks including a Cowboy’s watching party at Capital Pub on Henderson. She is offering free Stoli copper mugs to take home when you order one of her signature Moscow Mules. She has several recipes we discuss that use her pepper vodka, and a vanilla version. Both are delicious in the mules. Scobee will also be hosting the anniversary party at Vickery Park. We gave away a few per-opening seats to a dinner tomorrow night at Trinity Groves restaurant Kitchen LTO which opens to the public this Wednesday. Our co-host/ chef Uno also brought in her newly appointed bar manager for Chino Chinatown, Ian Reilly. Ian shared with us some of his ideas for the restaurant which opens November 11, 2013. 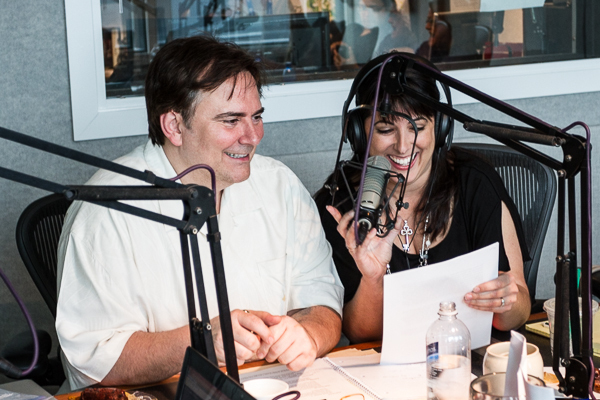 We probably had more fun during the show than necessary, but it is why we do it each week. Please join us next week when we host chef Dean Fearing who owns his classic Texas inspired restaurant in the Ritz Carlton Hotel in Dallas. We will also kick it with our friend Charlie Pap from the Windmill. Charlie is considered the very best barman in the city, and he always has a few tales to spin. 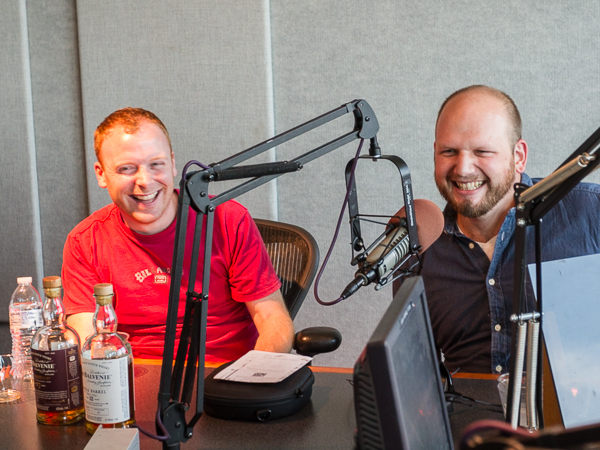 If you missed craveRADIO this past Sunday, you missed a whole lot of talking. We had chef darling Tiffany Derry in the studio, and she was talking up her new television program that will soon be premiering on Spike TV, Hunger Investors. This new program will pit two restaurant gems in the rough and have them compete for a barrel full of cash to make improvements to their menu, service and ultimately their bottom line. Tiffany was kind enough to chat through our many Top Chef questions, and was particularly interesting to hear about her many other under-takings as a speaker as she travels across the country inspiring students that they are able to make their mark as a chef, or any other career that they might be interested in. Tiffany was a fantastic guest that we hope to have back on the show real soon. She was sweet enough to hang out with the crew for the remainder of the program where we were joined by the very new brand Ambassador for Belvanie Scotch, Jonathan Wingo who was originally from the Dallas area but has been working in New York. Our friend of the show, Mossie Power, the nicely accented Irish ambassador for Tullamore Dew, was kind enough to wrangle another Scottish counterpart, and we are always appreciate of his help. Wingo walked us through his line of scotch that we enjoyed immensely. Balvenie is hosting the traveling Rare Craft Collection that will be in Dallas September 10 and 11, 2013. This is a fun collection of incredible hand crafted items collected from across the country and includes hats, furnishings, and so much more. 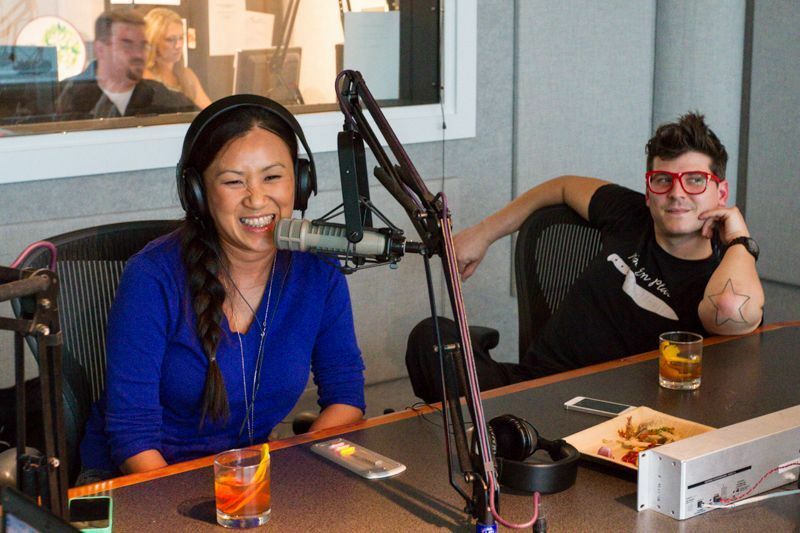 Epicurious Emma also paid us a visit via phone and gave her final Fork Fight review where her mother and craveRADIO co-host Uno Immanivong won last week. Emma told us she has a new video coming out this week for craveDFW as she reviews Hofmann’s Hots in Trinity Groves. This coming Sunday we will have Fort Worth chef-owner Jon Bonnell who will be sharing information about his hot new restaurant, Waters. Chef Bonnell also owns the fine Texas inspired and eponymous restaurant, Bonnell’s. It will be a super exciting program that you will not want to miss. 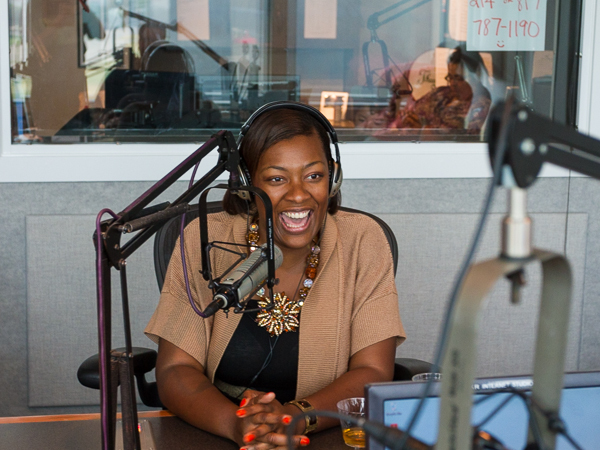 If you wish to hear the re-broadcast of the Tiffany Derry interview listen here. 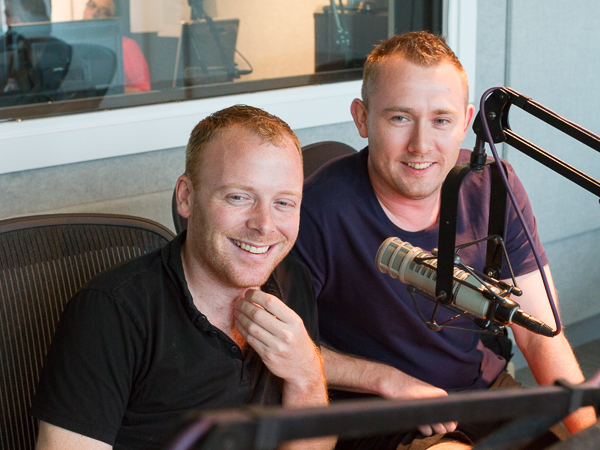 Crave RADIO airs each week from 4 to 6pm on 1190, and can also be heard on IHeartRadio.com from your computer or smartphone. Other guests coming soon include Dean Fearing, Mico Rodriguez and a live remote from a major event held by Kent Rathbun. 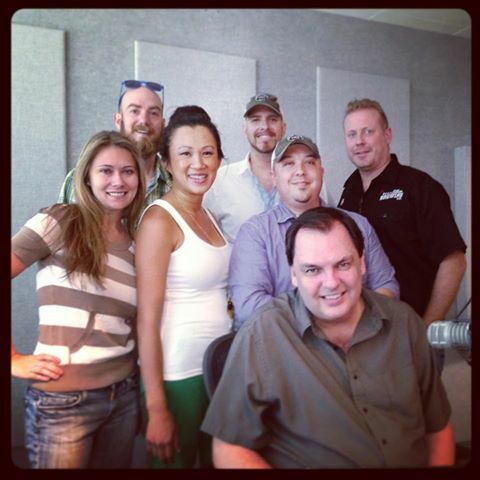 Last Sunday on craveRADIO we hosted a slew of people in studio including Chef Matt McCallister from FT33. Matt was his usually uber cool self and talked up his beginnings as a chef, his cooking style, as well as plans to open his new restaurant. 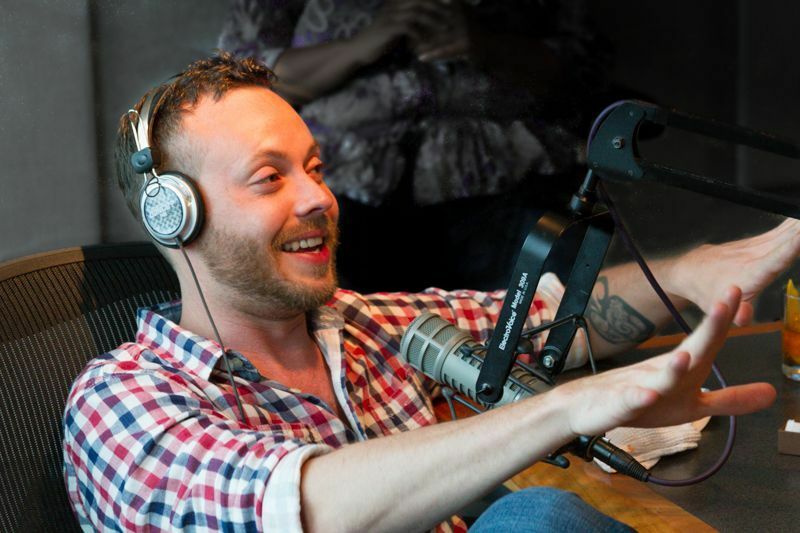 Listen close to learn about the pork tartare he plans for his visiting chef menu. McCallister also told us how Chefs for Farmers came to be, and what we have in store for us this year at the November 3rd event. Also on the show we chatted with the very talented pastry chef Kate Weiser who plans on opening her new chocolate shop in Trinity Groves this October. She will have plenty of chocolate along with her very special brand of ice cream. If this wasn’t show enough we also had on a pair of brand ambassadors, Tullamore Dew Irish whiskey Mossie Power, and from Glenfiddich, David Allardice. The two were awesome guests who entertained us with the differences between scotch and Irish whiskey. You will love the “Toast-Off” we had the gentlemen perform. As usual we had chef Uno from Trinity Groves who talked up the Final Fork Fight. It is this Thursday, but is sold out. Look for more Uno events before she opens sometime later this year. If you missed the show do not despair, you may listen to it by clicking the link below. 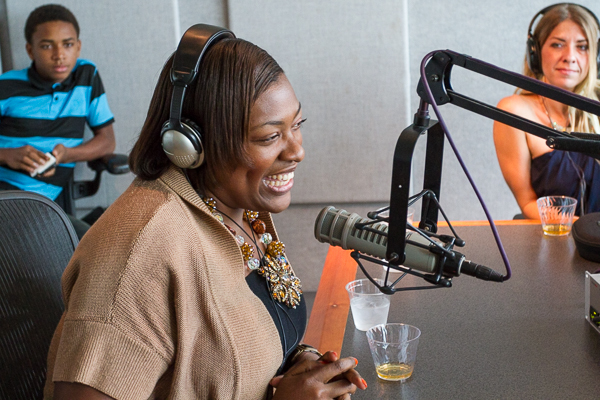 Next week we will have chef Tiffany Derry in studio. You won’t want to miss that! We also learned a little bit about Van Meter’s chef background in Paris and working across the globe at some of the finest restaurants. She also shared the fact she was entered in the 1972 Olympics pitted against one Olga Korbut. 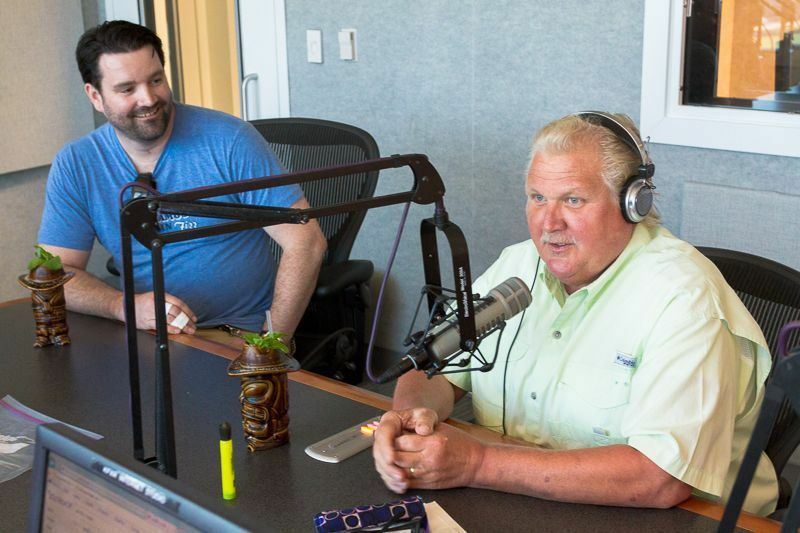 Sometimes our guests bring guests, and this time it was Van Meter who brought along the owners of Amberjax, the seafood market and restaurant that will soon open in Trinity Groves. They are also competing this week against Chino Chinatown. That sold out event should be a lot of fun. We also visited with a few barmen from The People’s Last Stand. We met with Alex Fletcher and Chris Dempsey who told us about a cocktail tour they are hosting this Thursday that certainly sounds exciting. People’s is known for their amazing classic cocktails, tiki drinks (now only once a month) and also fantastic bottled cocktails they make in house. Check out the menu which includes a pretty damned good quail as well. If you missed the show you are still good. Click the link below and hear it all. Be sure to tune in next week. We always have fun prizes and good things to eat and drink. 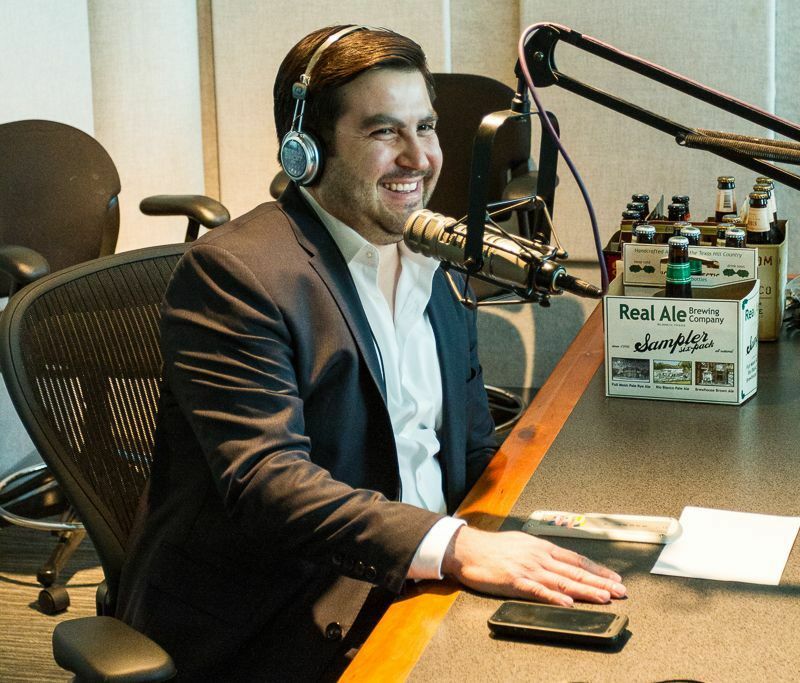 Sambol discussed the birth of his restaurant, Bob’s Steak and Chop House in Dallas, and gave us a fun bird’s eye view how he took the restaurant from just a few covers a night to a multi-million dollar operation. He also talks about his struggle with gambling and how he is able to deal with his personal demons which made for some compelling radio. Also on the program we had in another fantastic local barman, Omar Yeefoon from this year’s runaway sensation, Smyth which is located just off Knox on Travis. There he leads a team that creates amazing cocktails that have been catered to the guest’s personal taste in drinks. Smyth is a reservation bar, although not necessary for entry, you might find yourself locked out once the room hits its very small capacity. This keeps the experience extremely intimate, and the staff is better able to personalize your evening. Yeefoon brought in fellow barman Josh Hendrix, who also works at Smyth, and together they created a Pisco Sour using Yeefoo’s recipe he gathered from his recent trip to Peru where the drink has its origins. 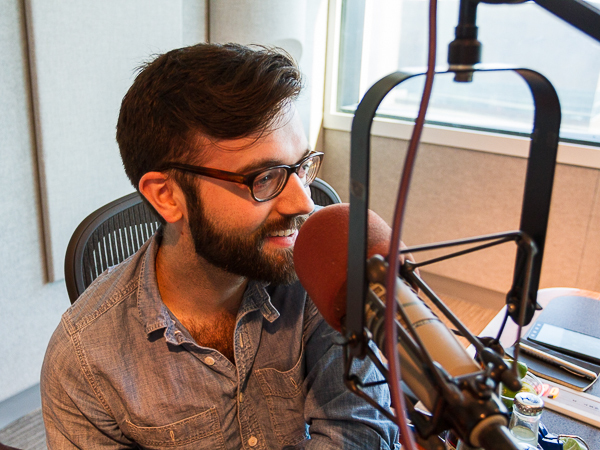 Listen in and find out why we call this the Year of Omar. 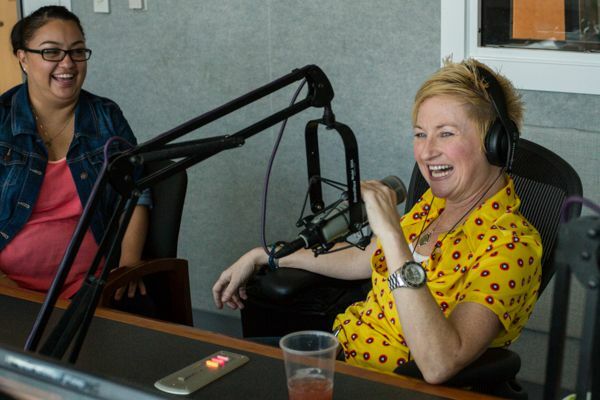 You can hear the rebroadcast of Sunday’s program where we also discuss our week’s restaurant experiences, and also hear Melissa’s Buzz where she counts down a handful of fun activities that you will not want to miss. 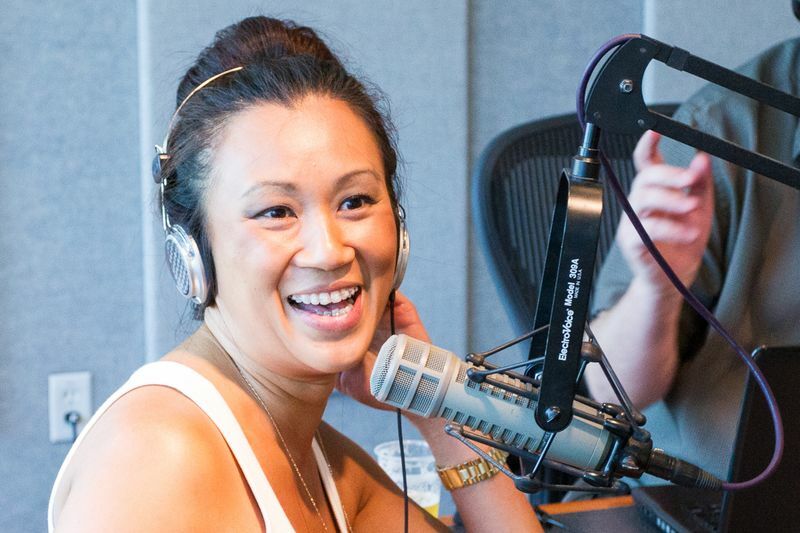 Also, Uno Immanivong discusses her recent victory at Fork Fight and tells us about some of her new dishes she has planned for the next round in Trinity Groves. 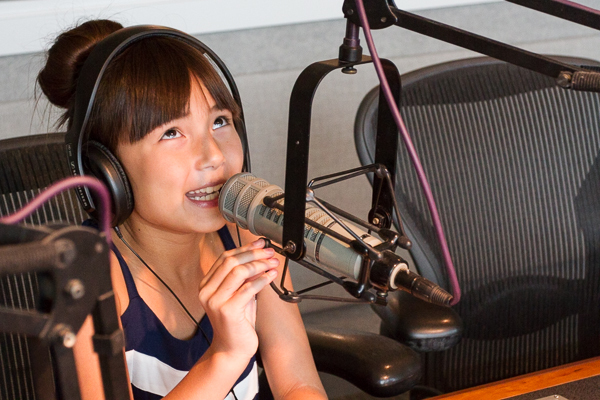 We also get a short visit from 9-year old Epicurious Emma who shares her weekly foodie experiences. 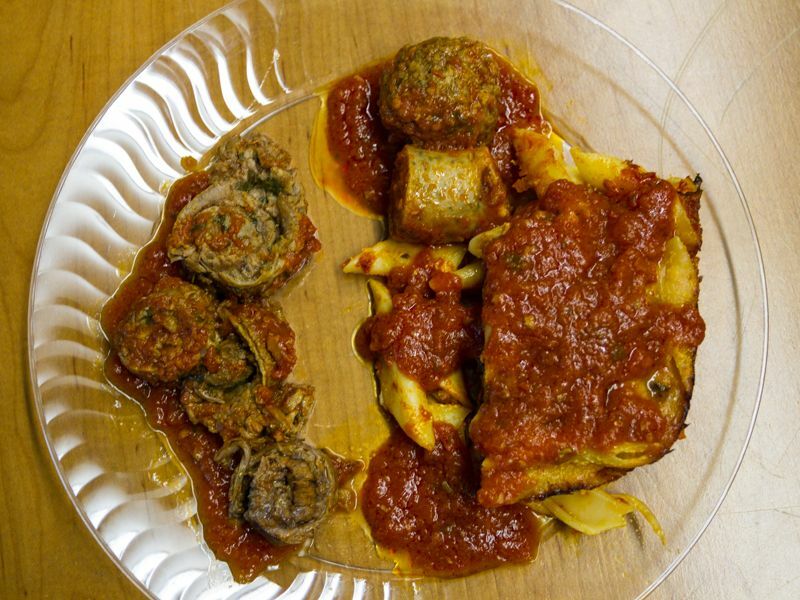 We also had one of our listeners stop in to feed us her homemade baked ziti, along with platters of her sausages and meatballs, and the most incredible braciole in Sunday Gravy. Thank you Paula Mele! We love our crave listeners. 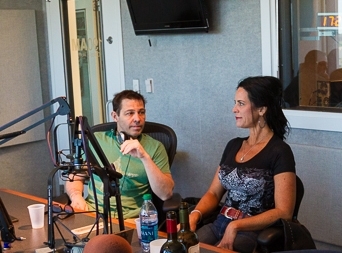 Be sure to listen in next week where we will have another pair of extraordinary guests and so much more on 1190am from 4 to 6pm, or listen live on IHeartRadio.com from your smartphone or computer. This past Sunday on craveRADIO we hosted several amazing guests including Elias Pope, one of the owners at HG Sply Co. located on lowest Greenville Avenue. We discussed what the whole paleo diet is, what it isn’t, and he shared some of the more delicious items on the menu. Be sure to taste that lamb shank, it is a giant ball of lamb goodness. Elias also discussed HG’s philosophy on culling ingredients from local sourcs, something that is extremely popular these days. But Elias has a different take on local, and goes extreme when possible, including tapping into local resources to set up his beer selections (thank you Stephanie Roethlisberger from the Bottle Shop) and a special cocktail temptress to concoct that menu (nods to Emily Perkins at Victor Tango). If you listen closely, Elias also talks about the burgeoning Greenville Avenue business that includes the new Trader Joes and names some of he new tenants moving into that area for a huge scoop of restaurant love. Also on Sunday’s program we enjoyed having Leann Berry, who is the young lady behind the stick at Komali, the restaurant that is Abraham Salum’s answer to Mex-Mex near Uptown. She was so happy to make us all some pretty delicious sangria that she whips up fresh daily at the restaurant. Along with her she also brought in Anastacia Quinones, the whimsical chef from Komali. AQ was a bit mic shy but managed to answer a few cuisine questions we had lined up for her. Leann was recently named one of the top ten bartenders in Texas by Texas Monthly, which is certainly high praise considering there are plenty of those in the Lone Star State. She also discussed the Sunday evening Industry Night where restaurant and bar employees can bring in their friends to dine half price. Everyone is invited to stop in on Sundays, and you might spot your favorite chef or waiter eating some very spicy ribs. Premiering this week was Epicurious Emma who gave us a shout out, and she brought along her mother and Fork Fight victor, Uno Immanivong, who is our permanent guest host each week. 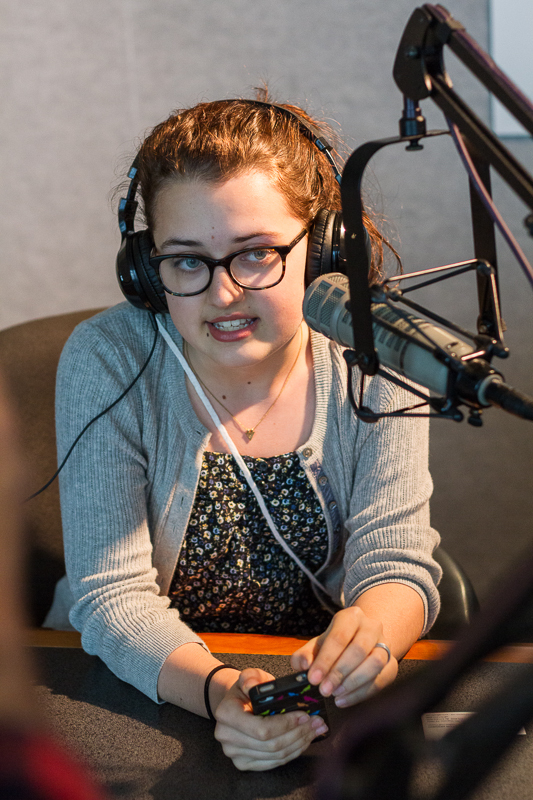 You can hear Epi Emma’s first review here. All this and so much more each week on craveRADIO found on 1190am, or you can also listen live via IheartRadio by downloading that app to your smartphone or laptop. Or click the link below and hear the rebroadcast right now. 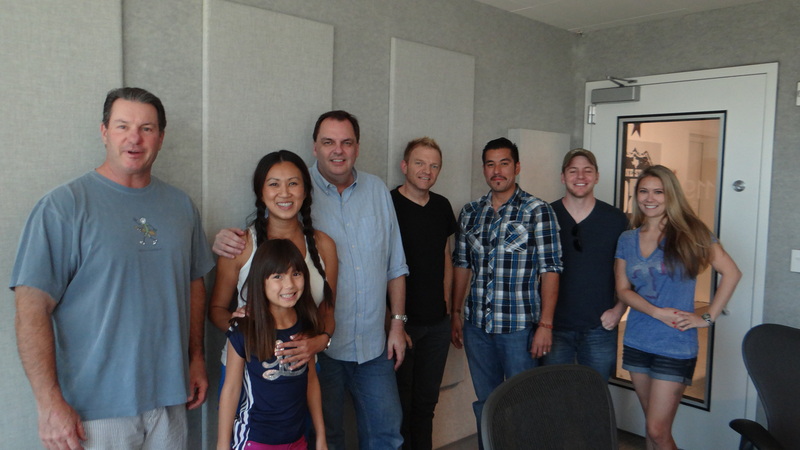 We hope to have Kent back in the studio very soon as he had to dash off to a cooking class at Abacus. He actually slipped out in the middle of his Dirty Dozen class to pop by for this visit, and we certainly thank him for that. 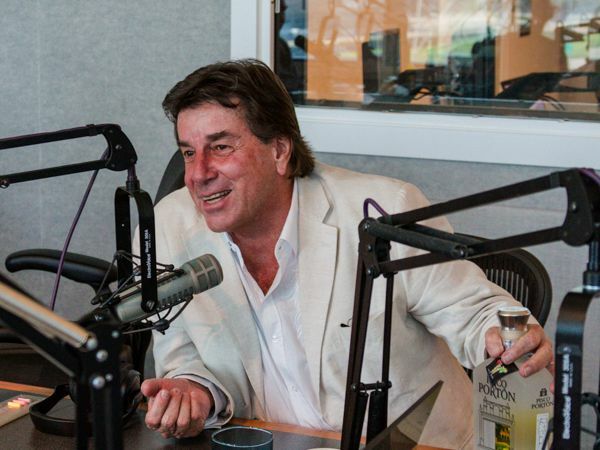 Also in the studio was the very entertaining Johnny Schuler, the Master Distiller with Pisco Porton. 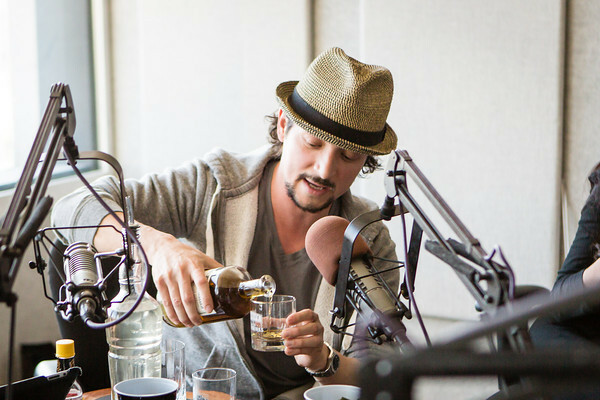 Johnny was an incredible guest who discussed the history of Porton, and the versatility of the spirit. Basically it mixes with everything and is incredibly delicious. Johnny is a true Renaissance Man in every sense of the word. He not only is the maker of his own spirit, but also has his own television program an has written many books about Pisco. After the program we had dinner with Johnny at La Duni where many Peruvian nationals seem to dine, and everyone wanted their photo taken with him. Listen to Johnny’s voice and you will know that he is truly the most interesting man in the world. Uno Immanivong continues to be our voice of reason on the program as our permanent guest host. We enjoy her addition to the program each week as she lends her special insight with each of our guests. She also shared that she won this past week’s Fork Fight in Trinity Groves and gave us a foreshadowing of this weeks version with Saint Rocco and Amberjax. The show’s producer, Melissa Roberts did a particular wonderful job with this week’s show and we hope to have both guests back very soon. 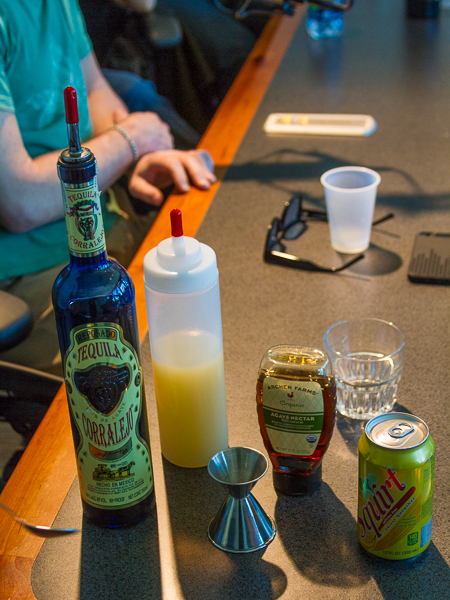 In addition, we also had on Julian Pagan, talented barman from Cedars Social who was in studio to share some of his favorite cocktail pairings and also make us a delicious Old Fashion which he thought paired best with Van Camp’s steak. As it turned out, the two are old friends and that made for an even more exciting program. 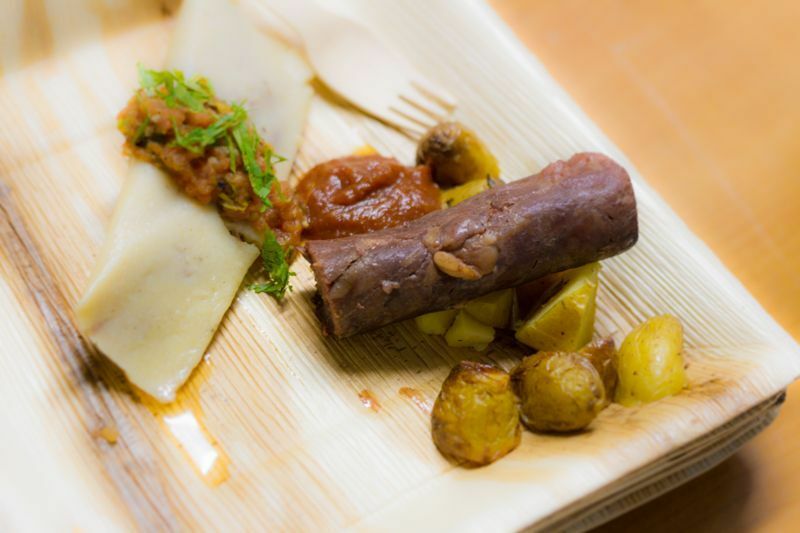 Our delightful guest host, Uno Immanivong was back with us for another week and she brought in some of her famous duck tamales made with duck confit and duck fat masa. If this is the type of cuisine that her Chino Chinatown will be throwing down (and it will) we cannot wait until the restaurant opens. We may have to wait as late as November, but it will be well worth it when we sit down on weekends to enjoy her rendition of Asian-Latin fusion dim sum that will be served up on weekends. Uno also shared her menu for this week’s Fork Fight in Trinity Groves where she will pit against Norman Grimm, executive chef for Kitchen LTO. Norman also called into the show to share his menu as well. It will be an exciting battle, and you can grab tickets at this link. We also shared some of our favorite restaurant moments for the week. 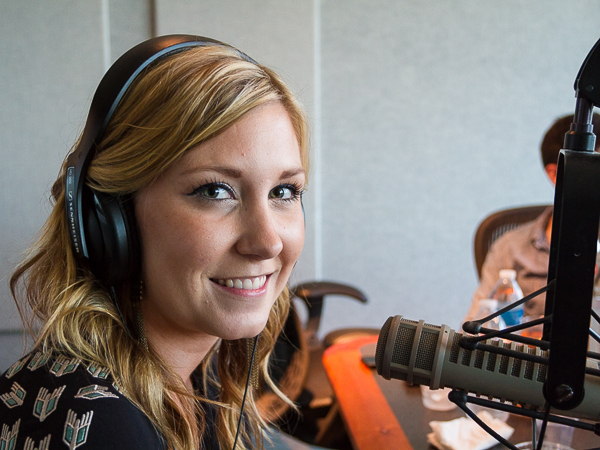 Also our show producer Melissa Roberts shared with us all the current openings and closings of area restaurants in her segment called the Buzz. You can listen to these stories and more on the link we provide below to hear the re-broadcast of this week’s show that originally aired on 1190am from 4 to 6 each Sunday afternoon. If you are outside our listening area you can load the IHeartRadio app on your phone to tune into 1190 in Dallas. 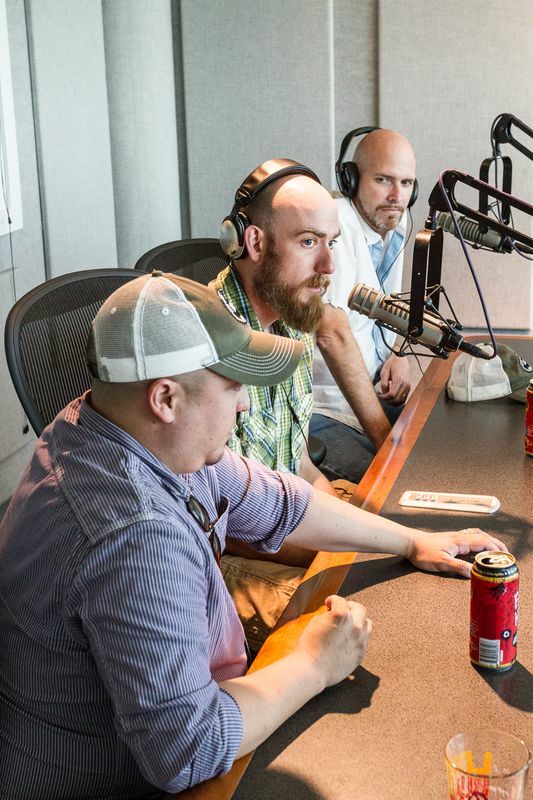 If you missed craveRADIO this Sunday we have the replay below for our readers and listeners. 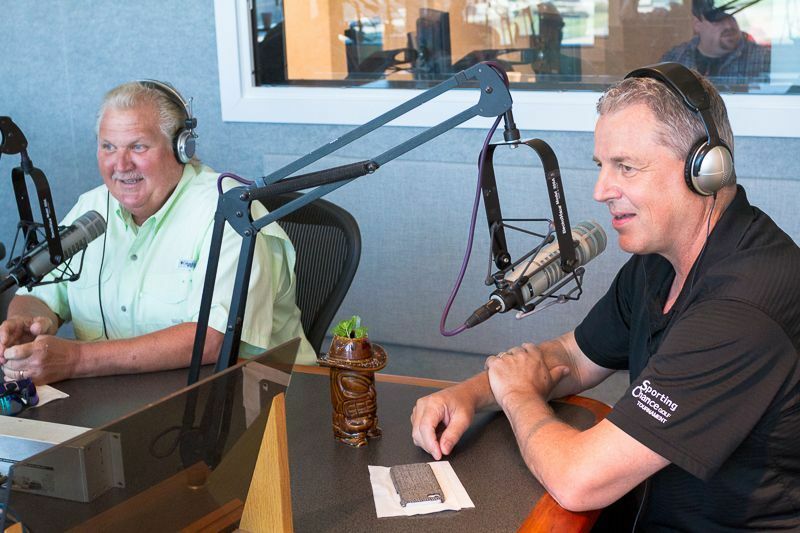 This week we invited chefs Richard Chamberlain (Chamberlain’s Steak and Chop House and Chamberlain’s Fish Market Grill) and Jim “Sevy” Severson (Sevy’s). The pair of chefs are long-time friends and it seemed only natural to have them on in tandem. 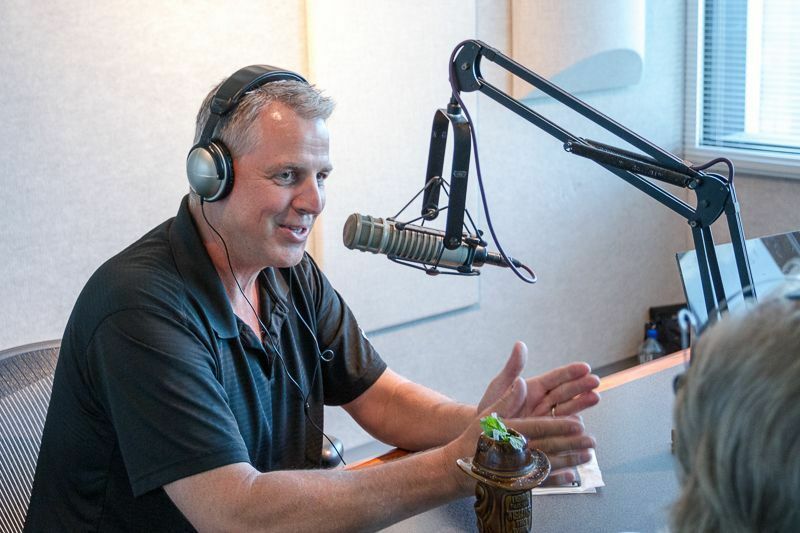 Chamberlain discussed some of his tips for the upcoming Kaboom Town, his favorite dishes at his restaurants, and his love for hunting and fishing. Sevy discussed his start in the restaurant business working at McDonalds that lead to attending the Culinary Institute of America. Also on the program we enjoyed tiki cocktails prepared by barman and president of the local chapter of the US Bartending Guild, Brian McCullough. McCullough is also manager at Standard Pour on McKinney in Uptown Dallas. 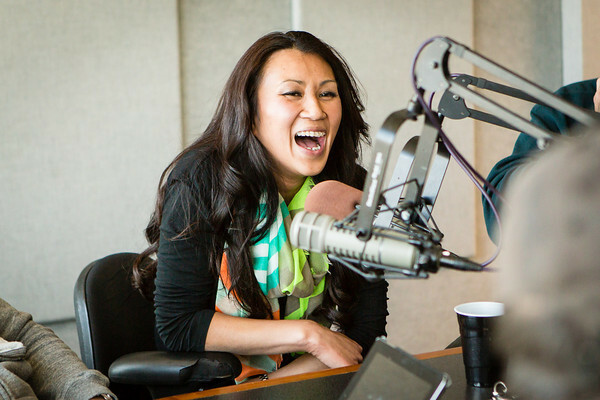 We enjoy having Uno Immanivong (Chino Chinatown) as our guest host each week as she gives the show a unique perspective. She has many upcoming appearances including the Trinity Groves Fork Fight. Look for information on next week’s program and be sure to listen live on 1190AM from 4 to 6 each Sunday afternoon, or on IHeartRadio.com. 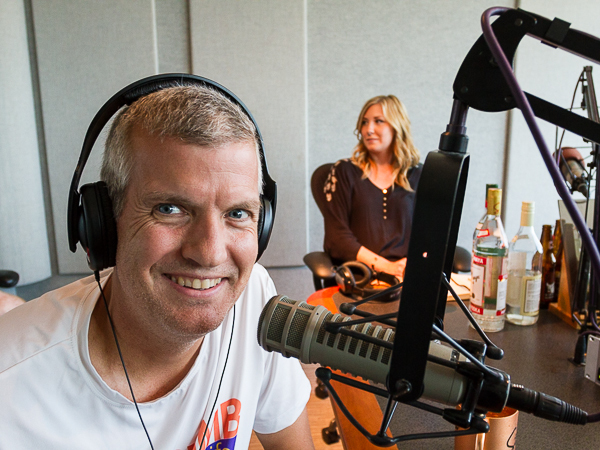 If you missed craveRADIO yesterday on 1190 AM from 4 to 6pm, we have the replay for you to listen to today. 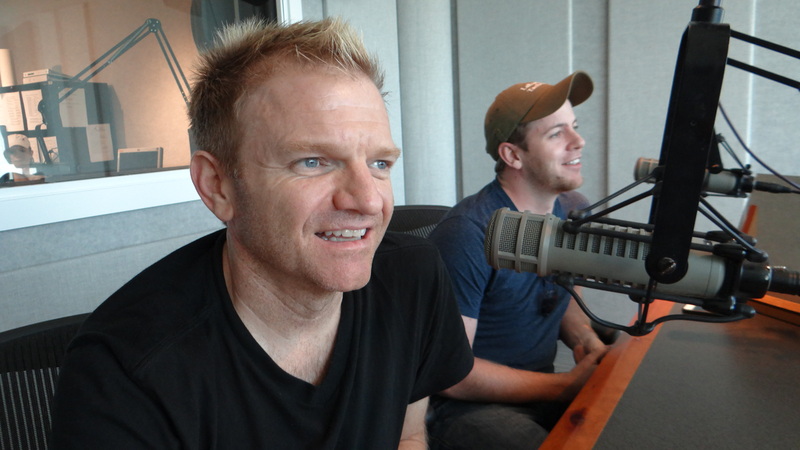 We enjoyed having the boys from LUCK who shared with us the thought behind the new restaurant concept going into Trinity Groves which opens most likely this September. 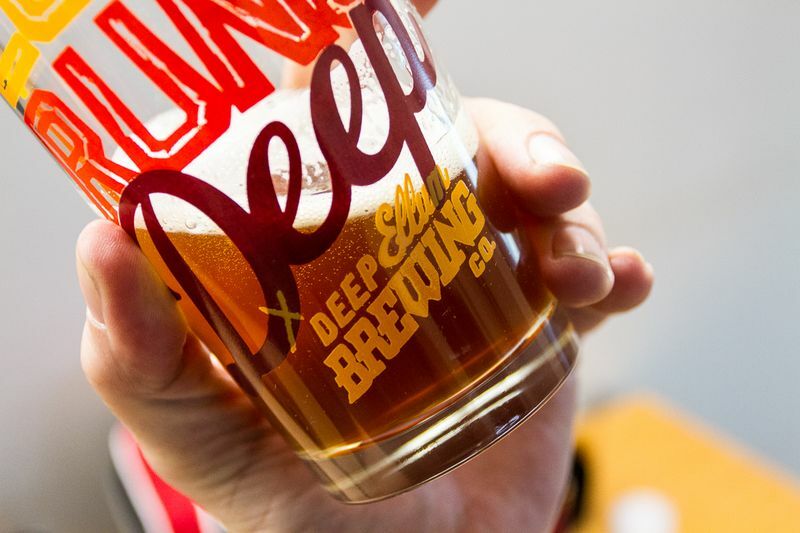 They will feature a 40 tap beer rack with local beers from across the North Texas region, along with many dishes on the menu that are beer inspired. On the program Jeff Dietzman also told us about some of the events they will be participating in, including a pop-up dinner at Bob’s Steak and Chop House July 14. There are but a mere few tickets available for that dinner that will also feature Peticolas brews paired with the LUCK menu. They will also be making a beer-filled appearance at the Fort Worth Central Market July 13th with Martin House Brewery. It was interesting to learn how LUCK joined up with the trinity groves project, and they explained it was more luck than anything. 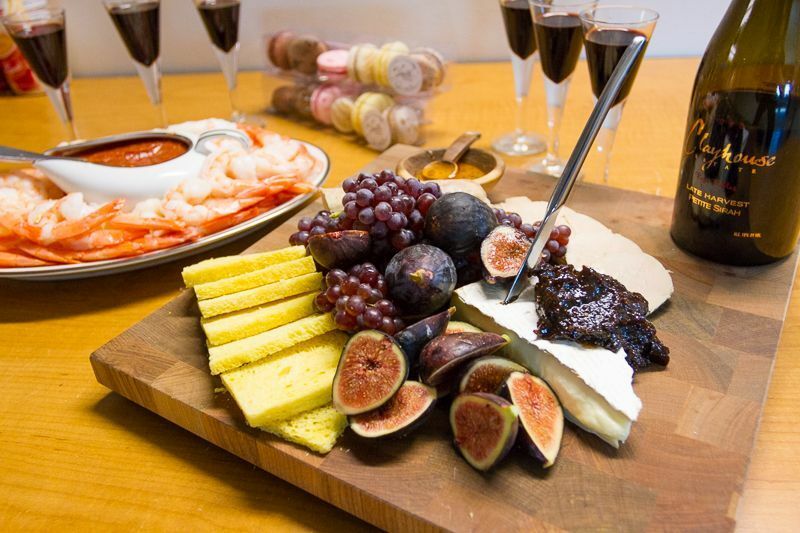 But after tasting some of their food pairings at recent pop-ups we know there was more inspiration than they humbly let on. 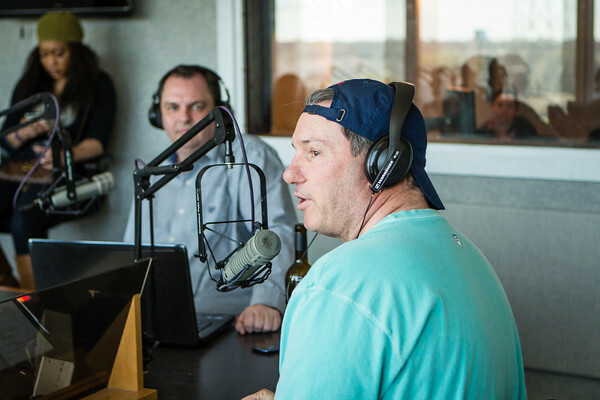 Also on the program we enjoyed seeing Tait Lifto who previously contributed to craveDFW before taking the sales and marketing ninja position at Deep Ellum Brewing Company. 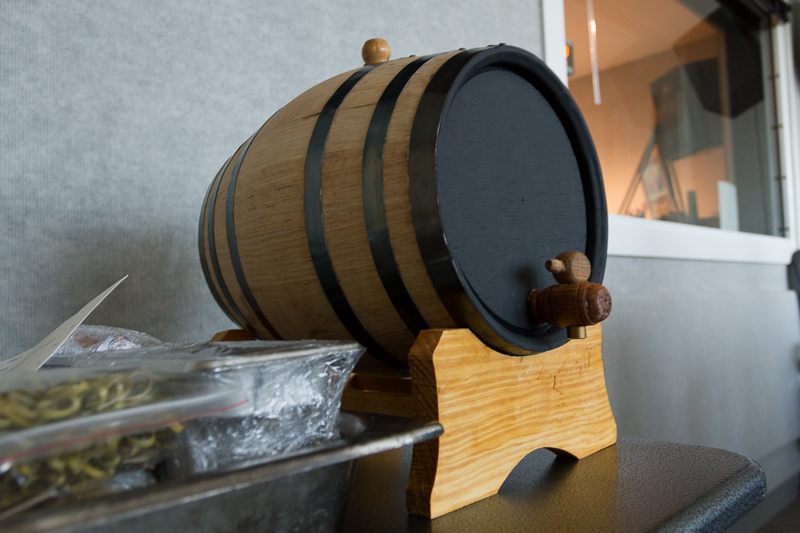 He loaded the staff and guests with plenty of amazing beers including one very scarce bourbon barrel aged IPA that can only be sampled at the brewery during one of their twice weekly tours. 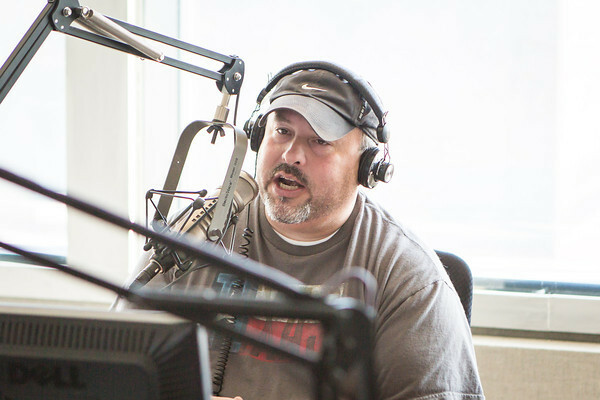 Mr. Lifto always makes for a good show and you will more than likely hear him again on the program in the near future. Also on the program we had our special re-occurring guest host Uno Imannivong who we always enjoy having in the studio. Uno offers her special wit and knowledge of the restaurant industry to the show. 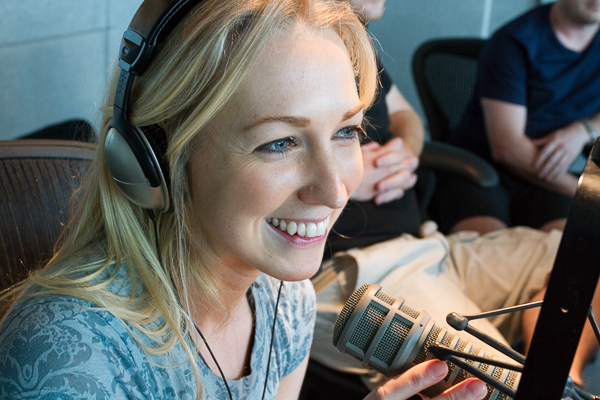 She also told us about her upcoming vacation in Mexico and invited our listeners to join her. Jump on this link for more information. We have a link for this week’s program below. Please share this with your friends, and we hope to hear from you during up-coming broadcasts. We have a live show at the Marquee Theater in High Park Village in the works and we will fill you in on those fun details and how to get tickets very soon. 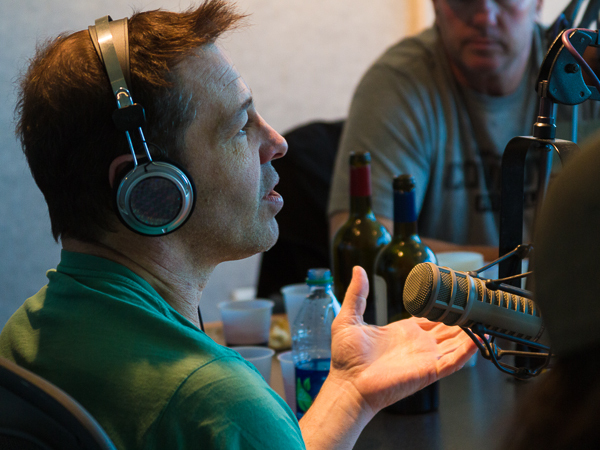 This week on craveRADIO we hosted Top Chef and owner of Spoon Bar and Kitchen in Dallas, John Tesar. Tesar always makes for a good guest as he is never short on conversation. This proved for a lively first hour before he had to run off to his cheffing gig at the restaurant. 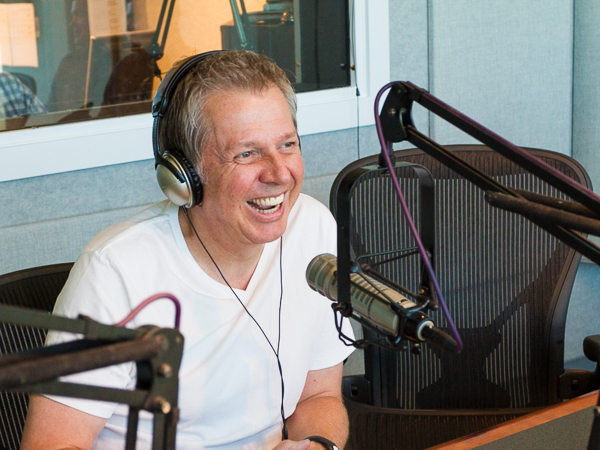 Tesar talked about his early days in New York, which of course included plenty of Bourdain spills, along with how he made the journey to Texas. Next in the lineup we discussed hormone replacement therapy with Terri Suresh from Hormonal Health and Wellness Center in Southlake. Our host Kenny uses the services and claims to be able to fight off mountain lions now that his hormones are in check. In all seriousness, Kenny lost weight, experienced muscle grown and has a renewed energy to take on his front of the house restaurant duties. In the second hour we also had one of North Texas’ best barmen, Brad Hensarling in the house mixing up palomas for Cinco de Mayo. This had the crew in a frenzy. Brad is best known for his three bars in Fort Worth that include The Usual, The Gold Standard and the Chat Room. The Usual is his nod to high end cocktailing where he implements old school technique and flair. The Chat room is within walking distance and is more of a dive, replete with pool table and good beer. The latest in the Hensarling fold is The Gold Standard which is a good mix of all Hensarling’s bars and features its own food park out back for convenient dining. Uno Immanivong sat in once again as guest host. We love having her sit in when she can as she offers spirited conversation to the mix. Next Sunday is Mother’s Day and we will not be offering a new show. Actually, they will be retooling and upgrading the studio equipment, so we will see you on the 19th. 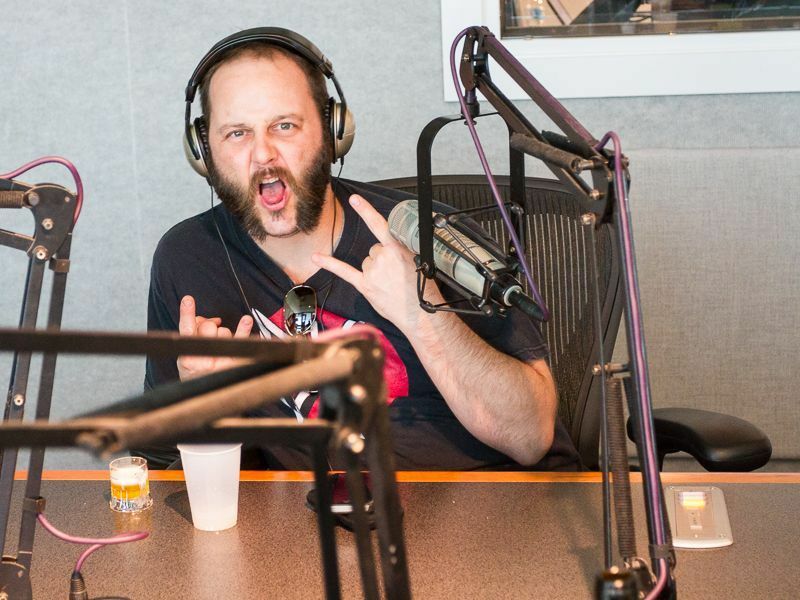 If you did not tune into craveRADIO this past weekend, you missed a lot. We just finished our fifth show and the guests are lining up to join the fun. 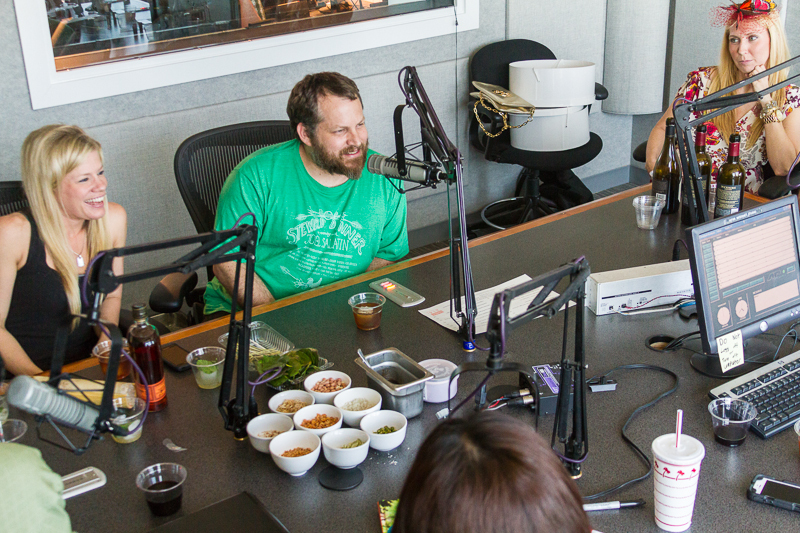 Last Sunday we featured chef Graham Dodds from Central 214 in Dallas, along with his bar manager, Amber West. Chef Dodds can be a bit shy at times, probably stemming from his conservative British and Scottish roots. But that was soon remedied as Amber West invited us all to taste her cocktails that she had been cask conditioning. 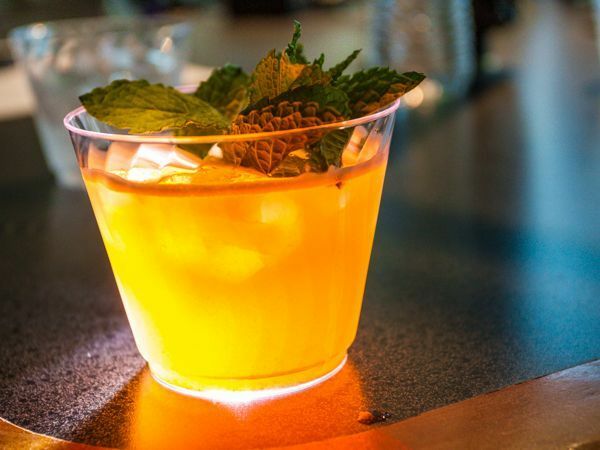 The Equestrian is a playful take on the Mint Julep, something she conjured up in anticipation of the Kentucky Derby. 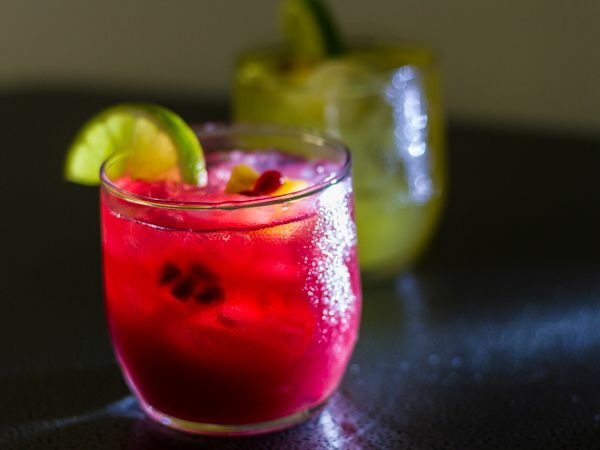 You can sample this cocktail for a cause at Central 214 through the end of the week. 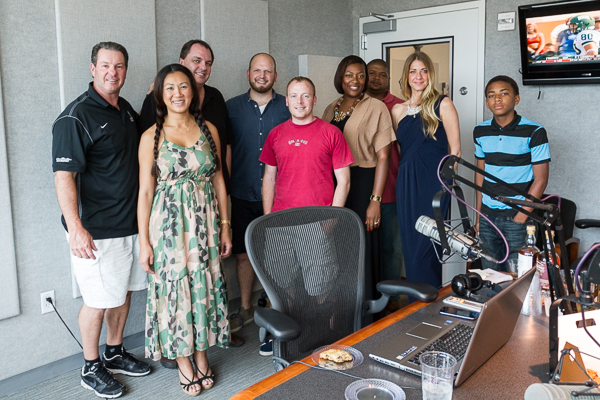 Amber joined forces with this weekend’s Polo on the Lawn, and we had the event coordinators in the house to speak about that fun event which benefits Project Transformation, a local charity that empowers underserved children and their families. A dollar for each Equestrain sold goes to the cause, plus this weekend’s polo event acts as a fundraiser. Chef Dodds took over the last hour where we continued to enjoy cocktails and discuss Dodd’s culinary background. His style of cooking reaches beyond the term ‘farm-to-table’, and we also learned that Dodds has a particular affinity for keeping bees. Dodds invited our listeners to come by the restaurant and try out a few of his new menu items he has prepared for the season. We will feature those very soon on craveDFW. We also had our regular guest host and chef Uno Immanivong on the program. 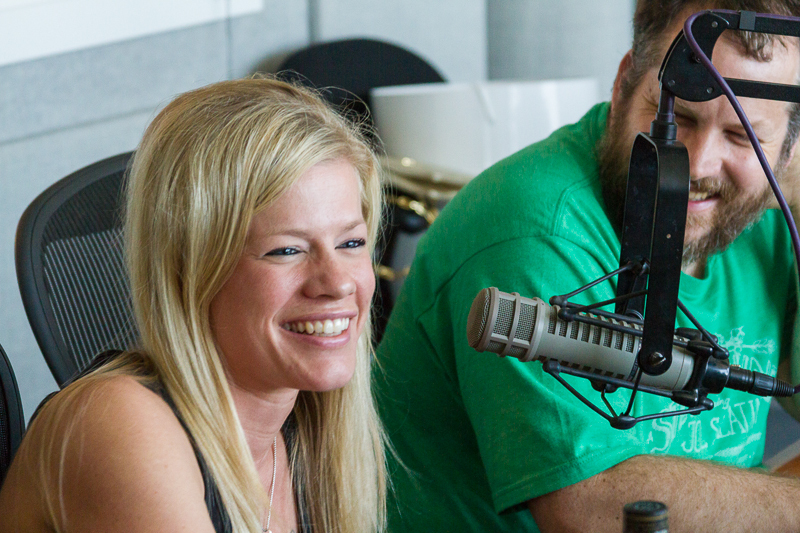 We love having her in the studio as she prepares her new restaurant, Chino, in Trinity Groves. She brought her daughter along who is doing some modeling and will be featured on some national ads in the very near future. Uno told us about her pop up dinner she is hosting in Trinity Groves that will give those curious about her style of cooing and a foreshadowing to the menu at Chino. Grab one of the very few remaining tickets on her website. 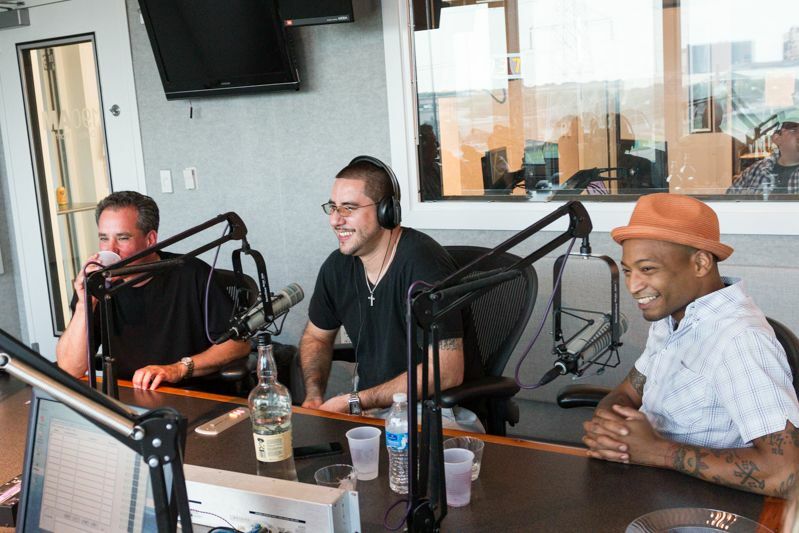 This weekend on craveRADIO tune in to hear recent Top Chef contestant and chef-owner of Spoon, John Tesar. Joining us also will be super barman Brad Hensarling who owns several bars in Fort Worth, including the top rated The Usual. This show will be one you will not care to miss. 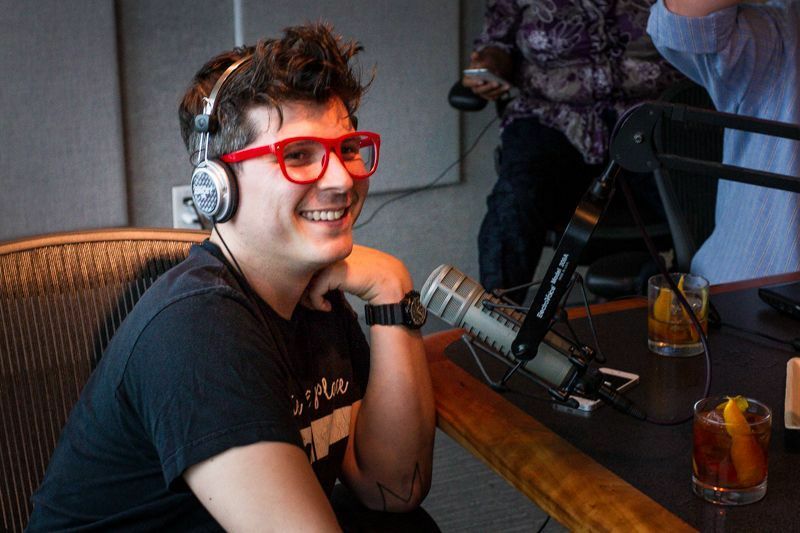 This week on craveRADIO we hosted guest Andre Natera who recently took on the top toque position at Village Marquee Grill in Highland Park Village. There the chef casts his own special flare on his locally sourced cuisine. Chef Natera explained that his style relied heavily on classic French technique. This is why his dishes are fresh and approachable, without much of the faddish glam that can often be found in some of the top American restaurants across the country. 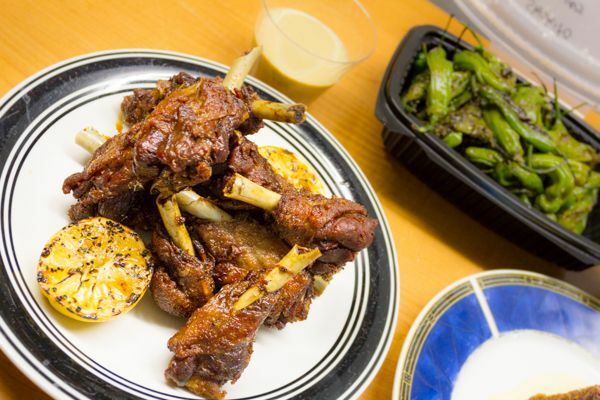 Natera labeled his style as modern regional Texas-Inspired cuisine. We asked Natera what some of his favorite restaurants and chefs are in the Dallas area and he happily throw out some heavy hitting names such as Chef Bruno Davaillon at the Rosewood Mansion on Turtle Creek, Matt McCallister who recently opened FT33 in the Design District and Omar Flores who chefs at Driftwood in Oak Cliff. Andre also enjoys John Tesar’s Cusine at Spoon in Preston Center. 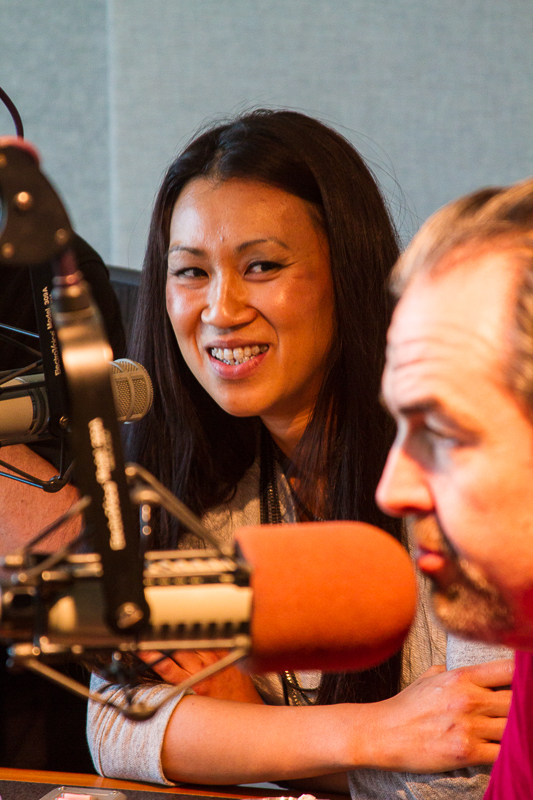 Listen to the program and find out why we have been calling Natera the Zen Chef. 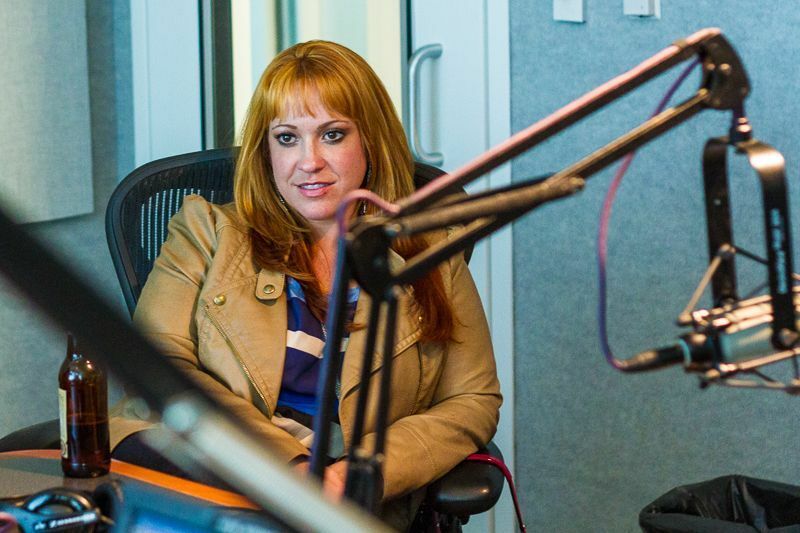 Our show producer Melissa Robert started her new segment called The Buzz where she gives a shout out to Look Cinema which just opened in Addison and hosts several restaurants including Nick and Sam’s Grill and Coal Vines. Also celebrating their grand opening was Battuto in Far North Dallas owned and operated by Gene and Julie Gates. Melissa also recommends the GermanFest in Muenster, Texas, and Scarborough Faire in Waxahachie. We also had Emily from Bras for a Cause which raises funds for breast cancer research who discussed her charity. 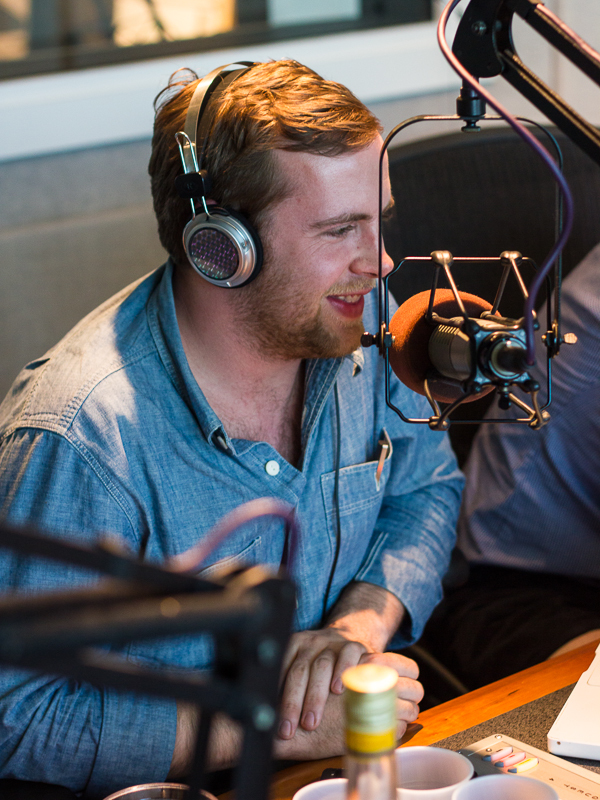 Look for a great show next week when we have Chef Graham Dodds from Central 214 in the studio to discuss his latest menu, his affinity for beekeeping and the craziest critter he ever cooked. Graham will bring in his favorite bartender, Amber West, who will be mixing up some tasty cocktails. 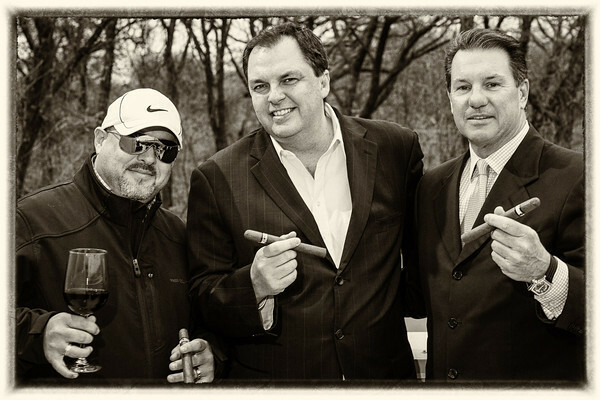 A few of the cocktails will be featured at the upcoming Polo on the Lawn Charity Match at Prestonwood Polo Club, Saturday, May 4, 2013, and we will have some of the representatives from that event to discuss the charity and the fun day which has a huge Kentucky Derby flair. 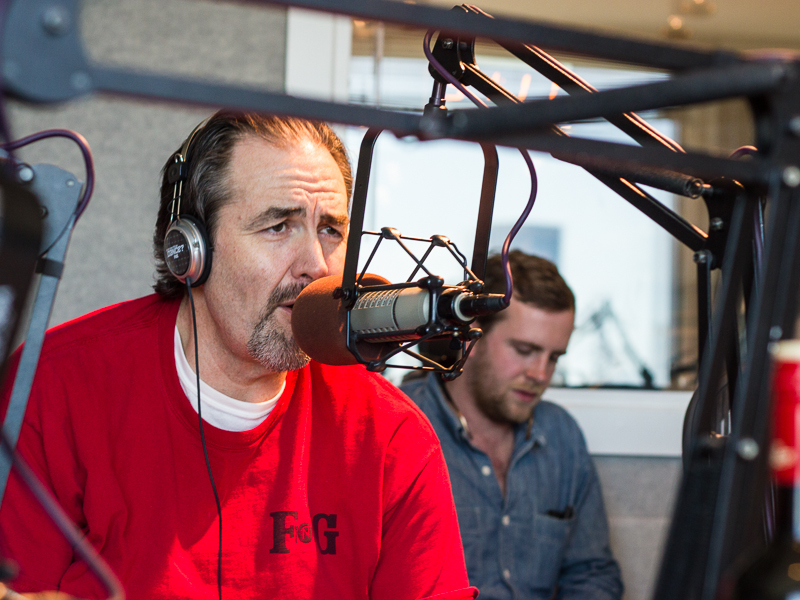 Last week on craveRADIO we had in studio the bodacious Bob Stephenson from FnG Eats in Keller. Chef Bob was gracious enough to bring the crave staffers a bountiful feast of Habanero Peach BBQ Ribs, El Comal Baked Beans, a little Mac a J.A.C and Texas Sweet Tea. Needless to say, we need more guests like Bob. We discussed the menu at FnG, which happens to be fun plays on a lot of familiar dishes, and the good chef enraptured us with a poem. You see, Bob is what they call a Poetry Slammer. 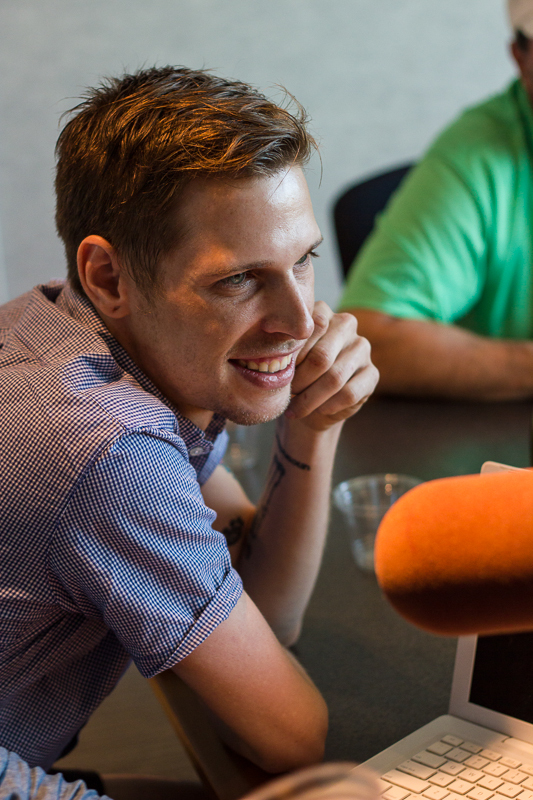 He travels across the country to participate in poetry events, and if you listen to the show you will be able to see why he does so well. 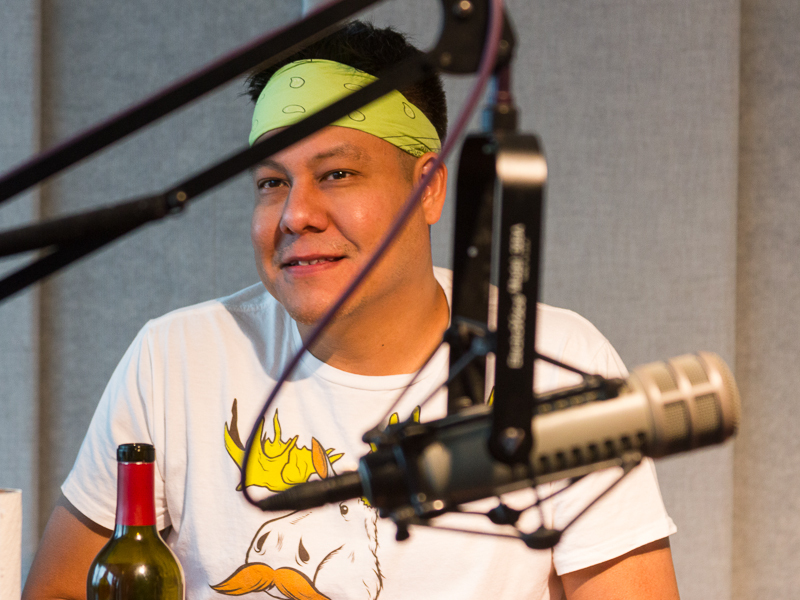 Guest host Uno Immanivong was also in the studio, and particularly enjoyed Bob’s ribs. You know Uno from the ABC television series, The Taste. She is also opening her own restaurant this fall in Trinity Groves. Uno is always welcome in the studio with her insightful commentary on the restaurant scene. Also in the studio we enjoyed chatting up JW Tate from Tate’s Craft Cocktails. 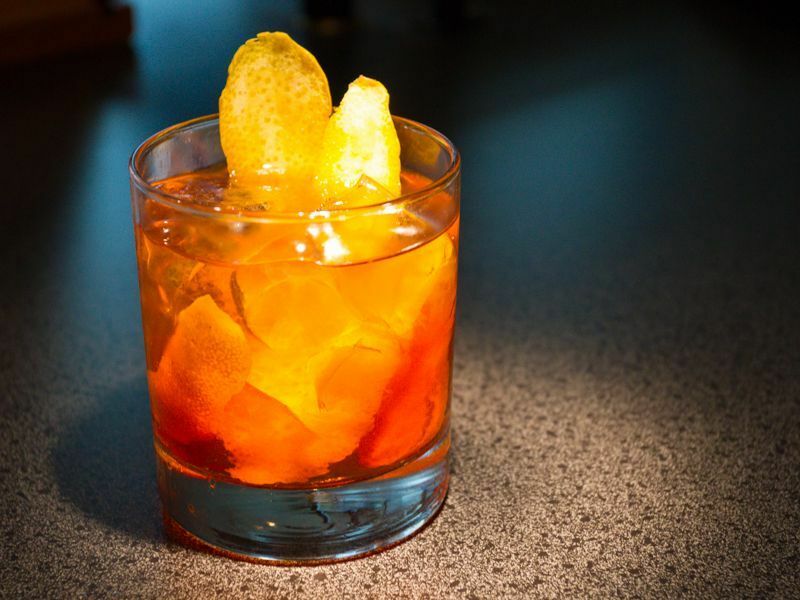 The barman will soon be leaving Dallas to open a restaurant and do some consulting with other bars and restaurants in South Carolina. But before he goes JW will be hosting a rare whiskey dinner at Tate’s in Uptown. 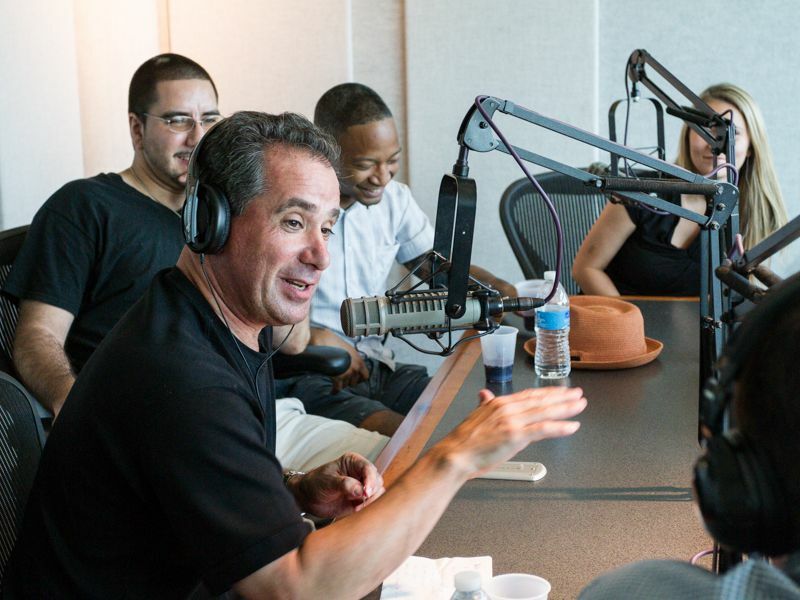 This coming week we have chef Andre Natera in the Mighty 1190 studios. He is the new chef at Marquee in Highland Park. You will not want to miss this. If you are unable to listen to the show, which airs 4 to 6pm Sundays, you can catch us on IHEARTradio, or download the app to your smart phone and listen in there. Look for us on Itunes later this week. 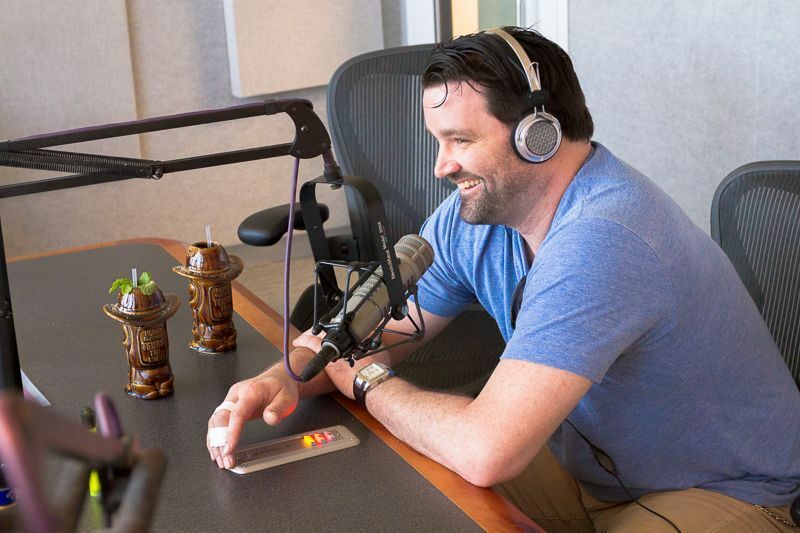 This week on craveRADIO we featured chef Chad Houser who was in studio to discuss Café Momentum, his year old project that trains young men from the Dallas Youth Village in the culinary arts, and gives them a leg up and valuable life skills. Along with Chad was his lovely daughter, Lilia, who discussed her competition in the state UIL one-act play and representing locally WT White High School. Chef Chad detailed his history and gave a cool shout out to Parigi where he formerly worked as chef and part owner. 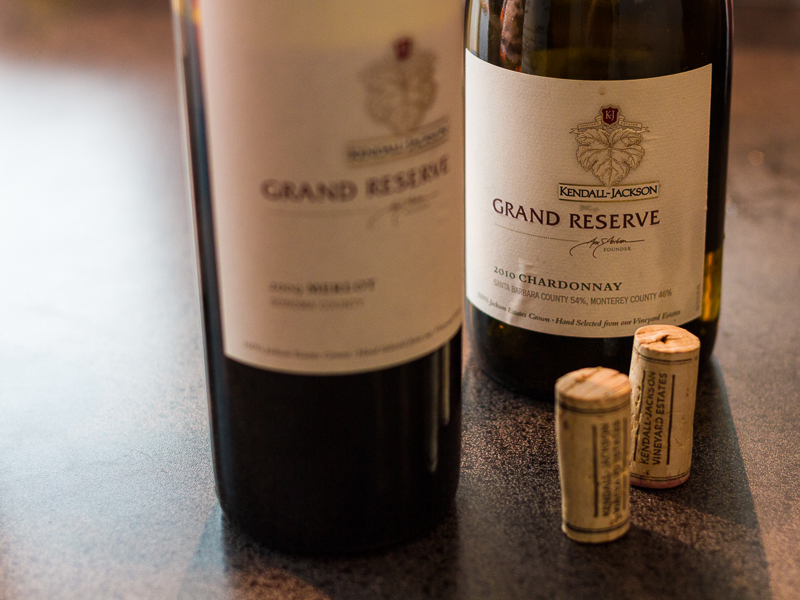 Also in the studio with us was Kevin Kennedy from Kendall Jackson Grand Reserve who shared not only several nice bottles of his wine, but educated us in his brand that included a wonderful Cabernet, Chardonnay and a Merlot. 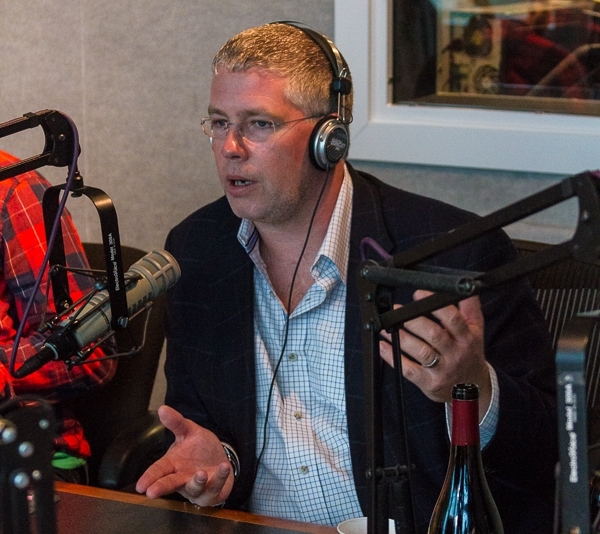 In this segment Mondo Mike learned that Merlot was a type of grape and not the person who invented the wine, which is actually a good experience because not everyone is up on their wine knowledge like our resident wine expert Kenny Kucwaj. This is exactly why we host these people who have great knowledge, but do not over speak the subject. In the final hour we also had on competitive eater Alex Perez who just came from a sushi eating contest. Perez is always fun to chat with. 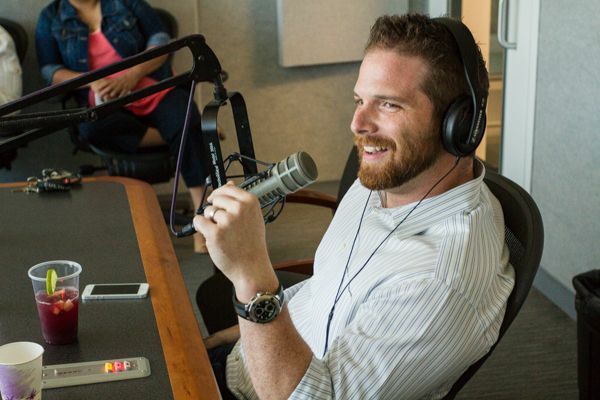 The former Marine is looking to compete in many more competitions in the coming months, and we will have him back in studio soon to do some on air chowing. 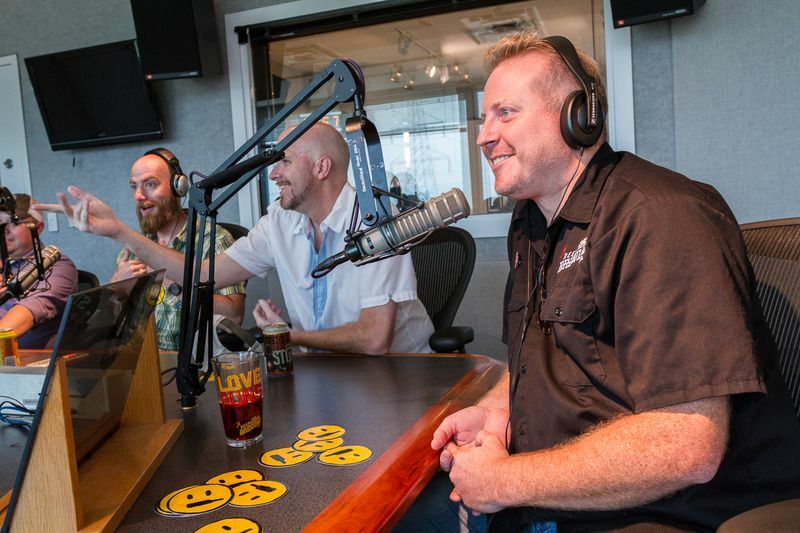 Listen to the rebroadcast and join us next week when we will be hosting a group of brewmasters, feature a new restaurant that is about to open in the Dallas area, and discuss the Dallas Brew Tour. 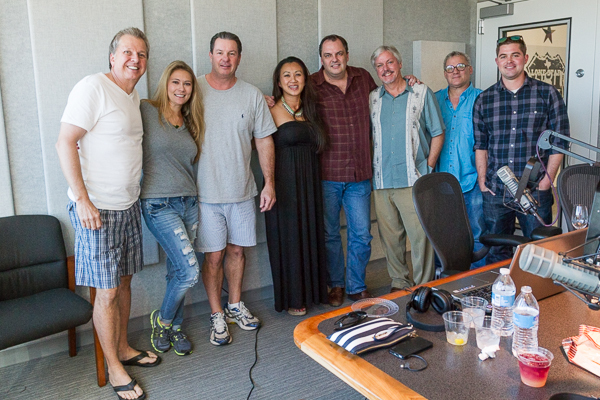 Yesterday proved that all the months of planning craveRADIO was well worthwhile. The two hour broadcast on 1190 AM went by extremely fast. When we completed our inaugural program there were still many callers left hanging, and one very special guest we were not able to speak with. Overall we deemed the first show success, but that is certainly for the public to determine. 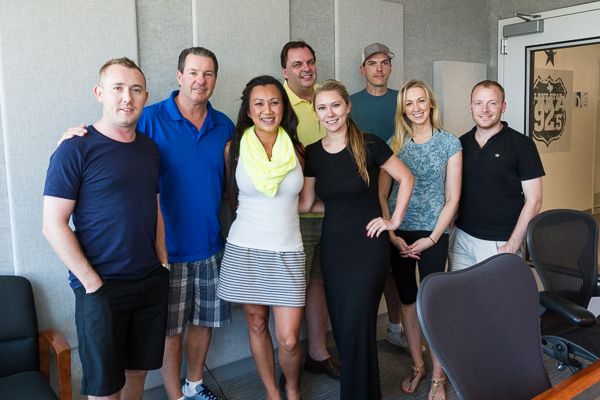 Our first show was centered around the new Trinity Groves project in West Dallas. 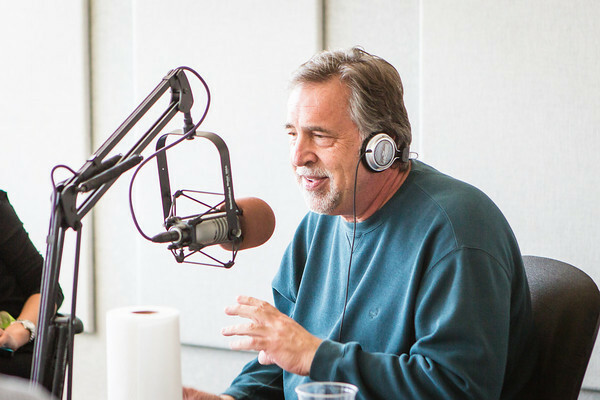 We tapped a fantastic source of information and invited Mark Brezinzki to the studios. Mark has a keen insight into restaurants, and for phase one of Trinity Groves he is on the selection committee and develops the new concept along side Phil Romano. Brezinski’s restaurant history is vast and helped develop such concepts as Pei Wei, Tin Star, Velvet Taco and many others you are surely familiar with. Also on Sunday’s program we spoke with the darling of Trinity Groves, Uno Immanivong, who recently appeared on The Taste, a cheffy television program featuring such hosts as Anthony Bourdain. 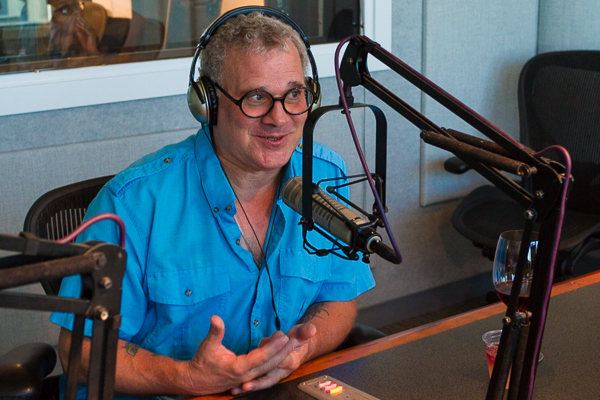 Sadly, we did not go too much into the Bourdain realm with Uno as our show was briskly moving along, and we had her business partner Adrian Verdin in studio to discuss the television program he has been shopping. Adrain has an affinity for bartending and has been working on a cocktail filled pilot where his crew travels from city to city in search of the perfect cocktail. 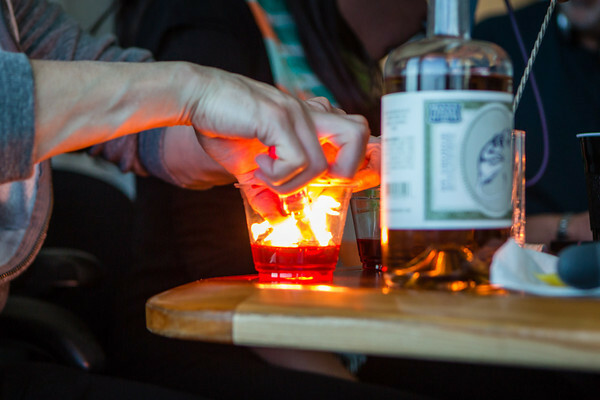 The show culminates each episode with a cocktail throw-down. Sounds exciting, and not particularly sure why this hasn’t already been done. The show will be hosted by Jason Kosmas. 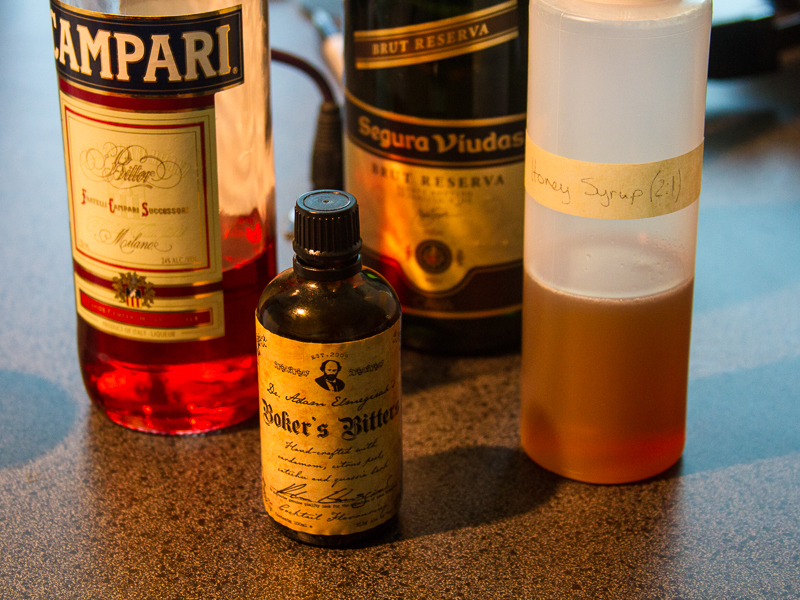 We probably needed Adrian on the show first as he also whipped up a batch of Sazeracs for the crew to enjoy. The banter between Adrian and Uno was spirited itself. The pair are opening Chino in Trinity Groves, and have many more concepts in the works. Chino is the Latin/ Asian infusion tapas restaurant concept slated to open this Summer. Uno is so charming we invited her back as often as she would like to co-host the program with us, and she readily agreed. 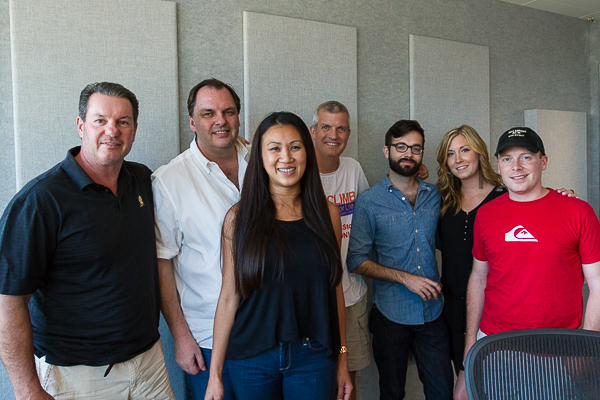 For the first edition of craveRADIO I am excited with the staff we have assembled. Kudos goes out to Ken Kucwaj, Mondo Mike and Melissa Robert. 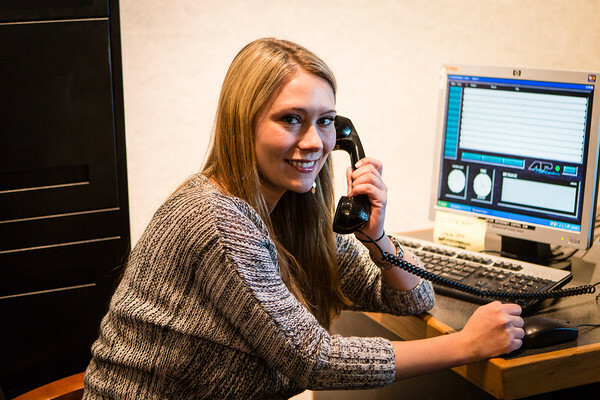 Melissa acted as our call screener, but will get some on air time in the next show. She is a contributor to craveDFW and very knowledgeable in the Dallas food scene. Mondo was amazing as the shows producer and kept the show running smoothly, being the professional that he is. We would all like to thank Thomas Garza for his work as our photographer. Next week we will feature the Easter edition, since we cannot run a “Best Of” show yet. Keep reading craveDFW for more details.